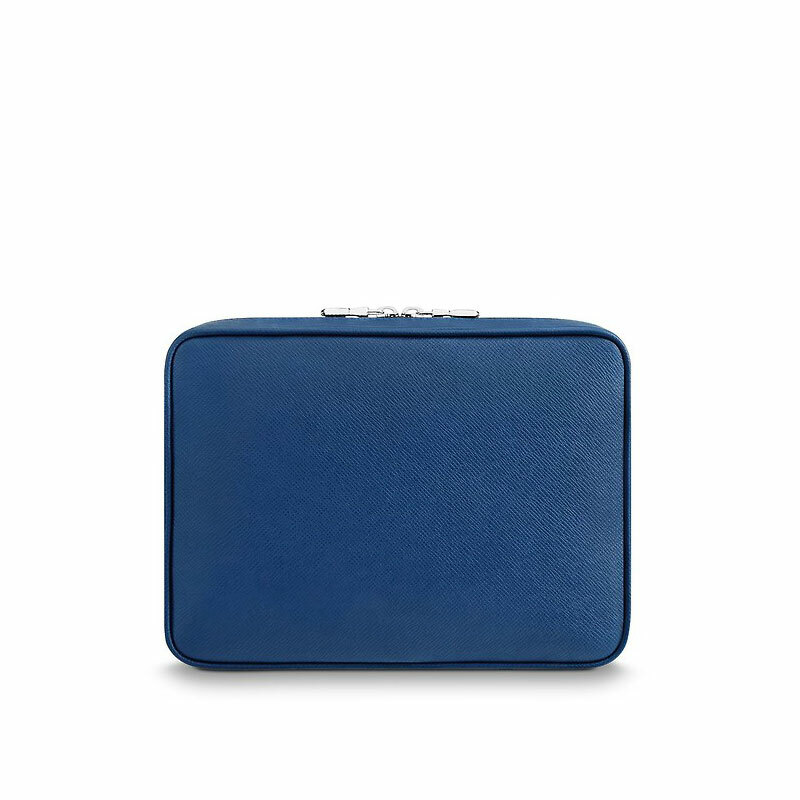 Whether I’m roaming the streets in Gaborone, Botswana or waiting at the jetty to board the ferry to Pangkor Island, I always have at least these essentials close to me: my phones (one personal phone and one for work), my ID card (or passport), credit cards, keys and some local cash. 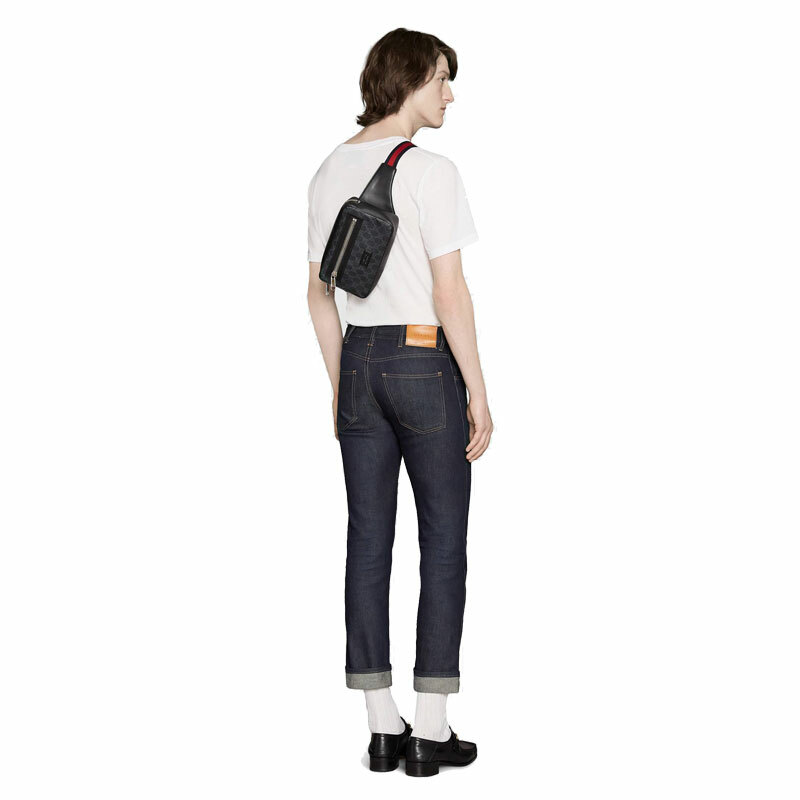 Keeping these important yet trivial items in the pants pockets seems like the smartest solution for most men. 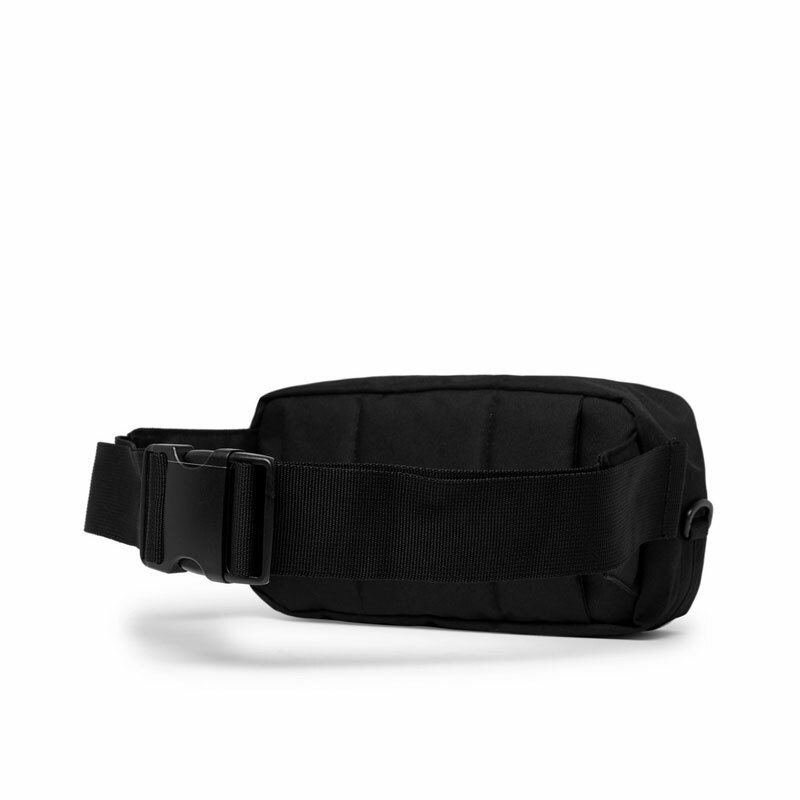 But oftentimes, the constant tightness, “jingling” and other discomfort caused by these pocket bulges make a trip less enjoyable, especially when you need to move around a lot under the summer’s weather. 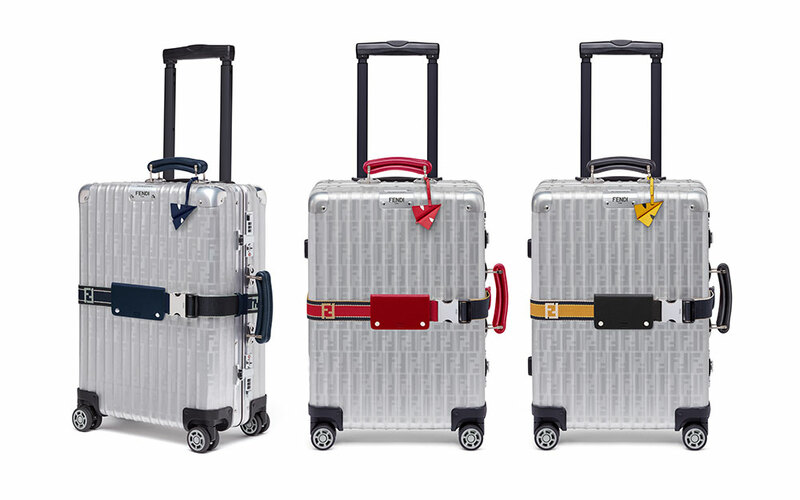 After all, being in the moment with your loved ones is what’s count on a trip, not the trivial. 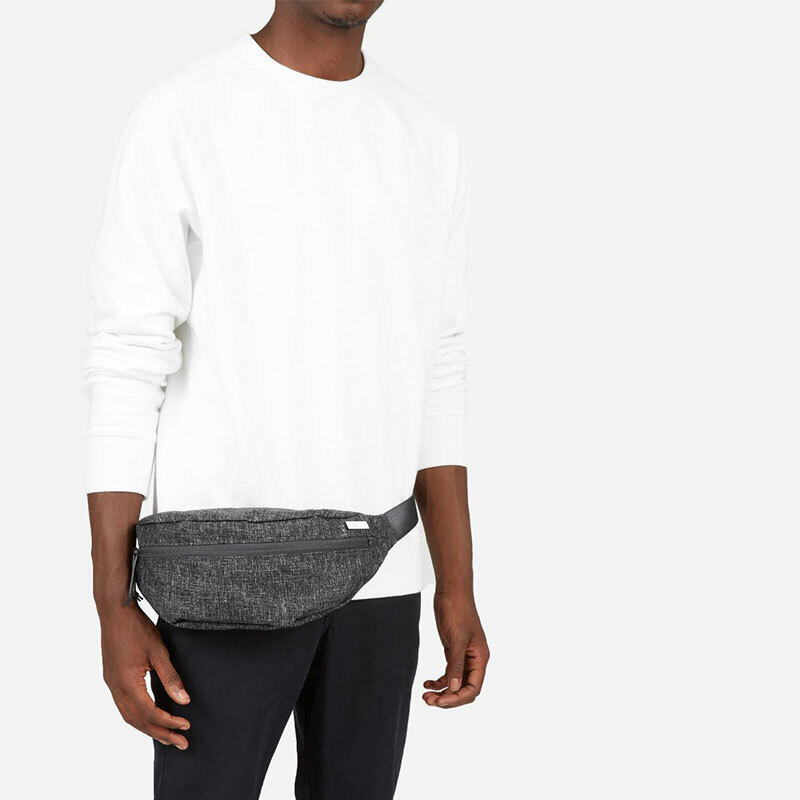 A lightweight waistbag that you can wear as a sling bag, the minimalist Day Sling features a tablet pocket and additional pockets for your essential. 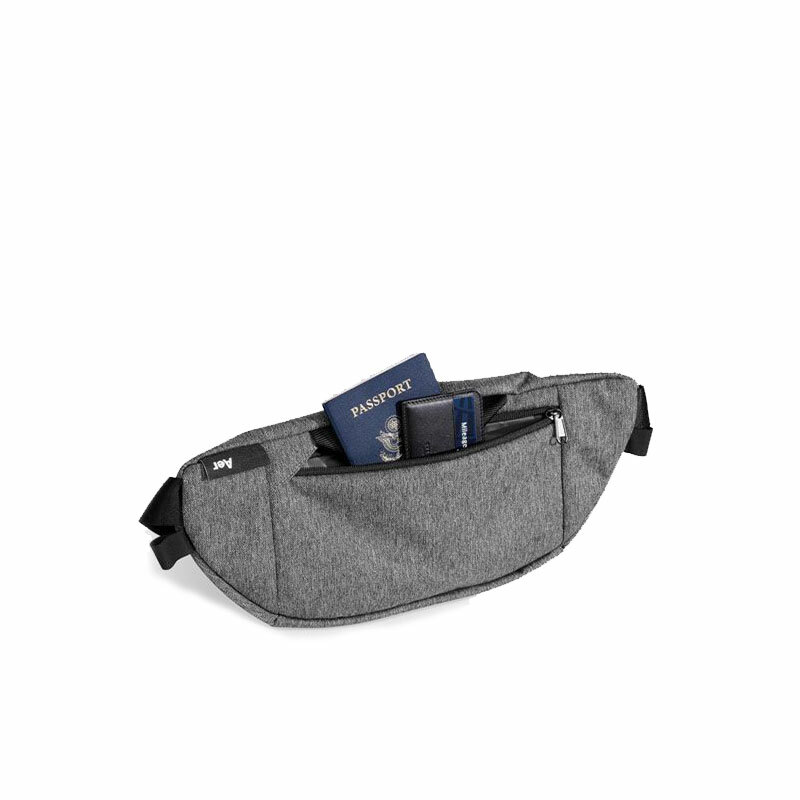 On the back, there is a hidden pocket that’s perfect for your passport or wallet. 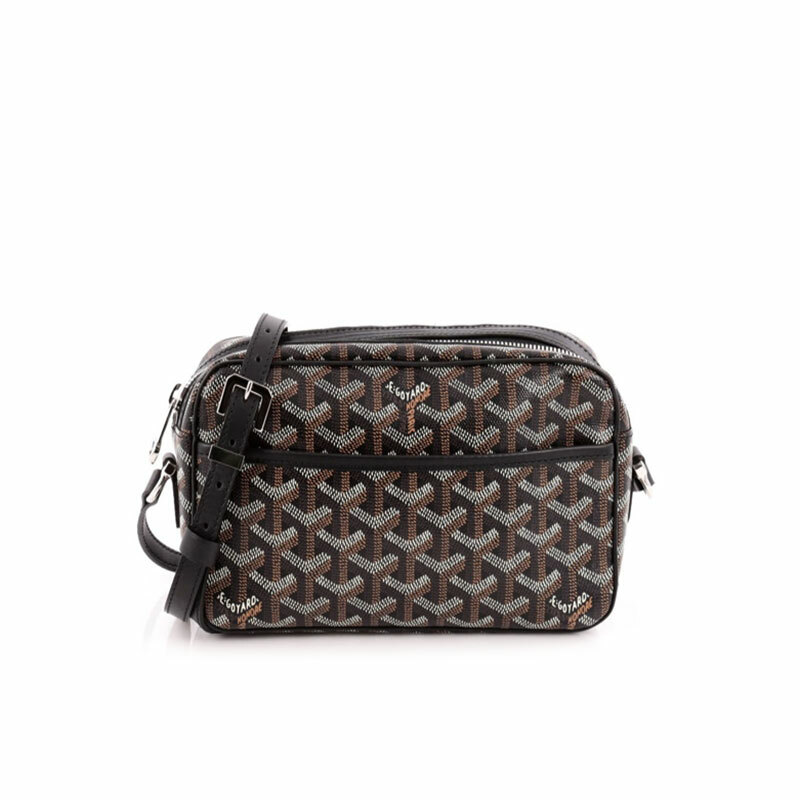 The Goyard Cap Vert PM is a perfect small travel bags for the essential, and much like a heirloom watch, this unisex bag is one of those classics that can last for generations. 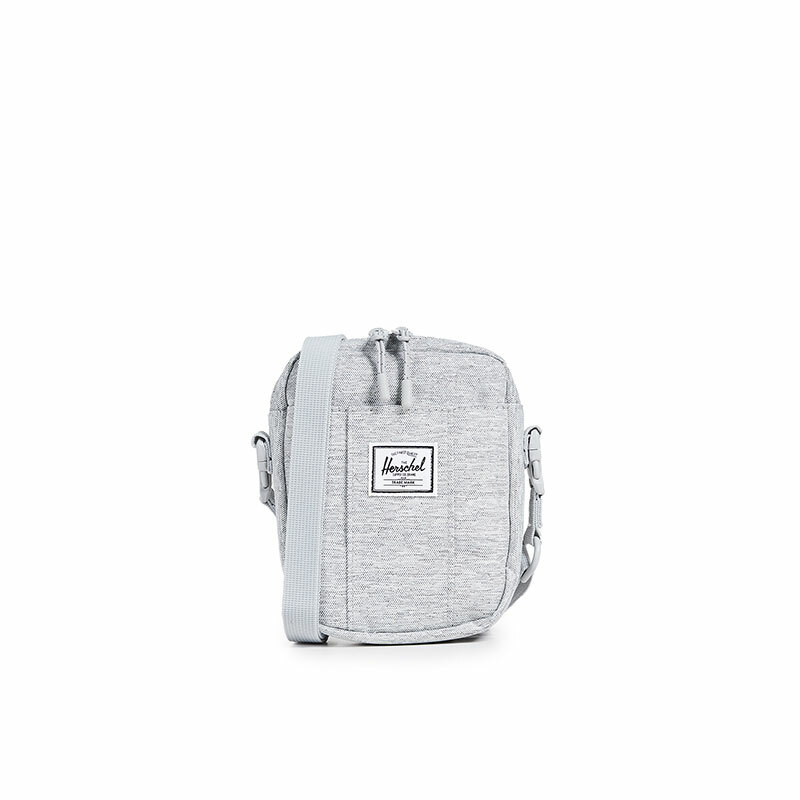 * Unfortunately, this brand is not available online – you have to buy their products in the store. 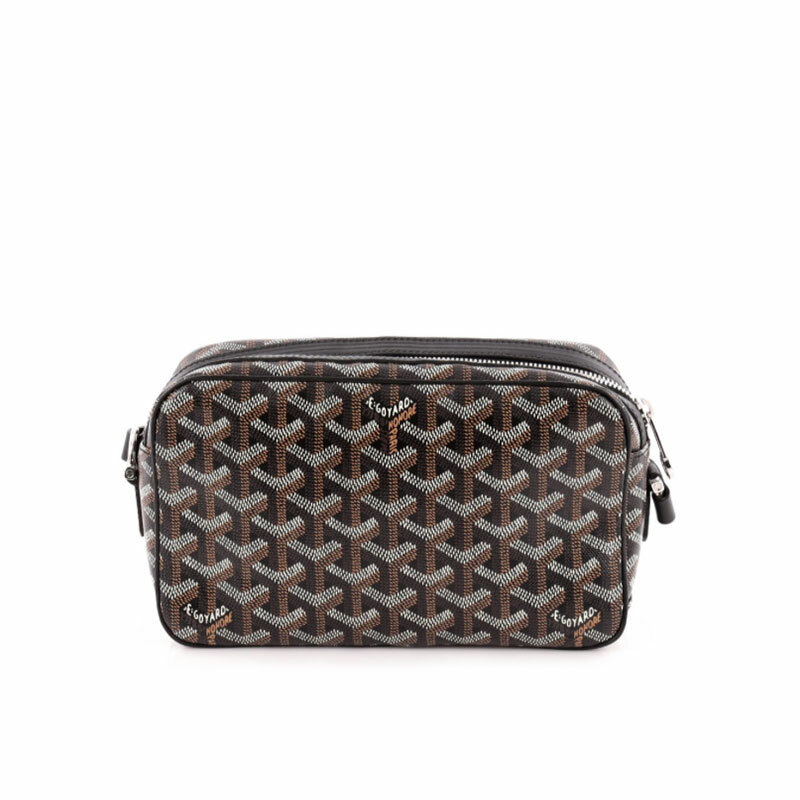 But you can still place your order by emailing Goyard directly. 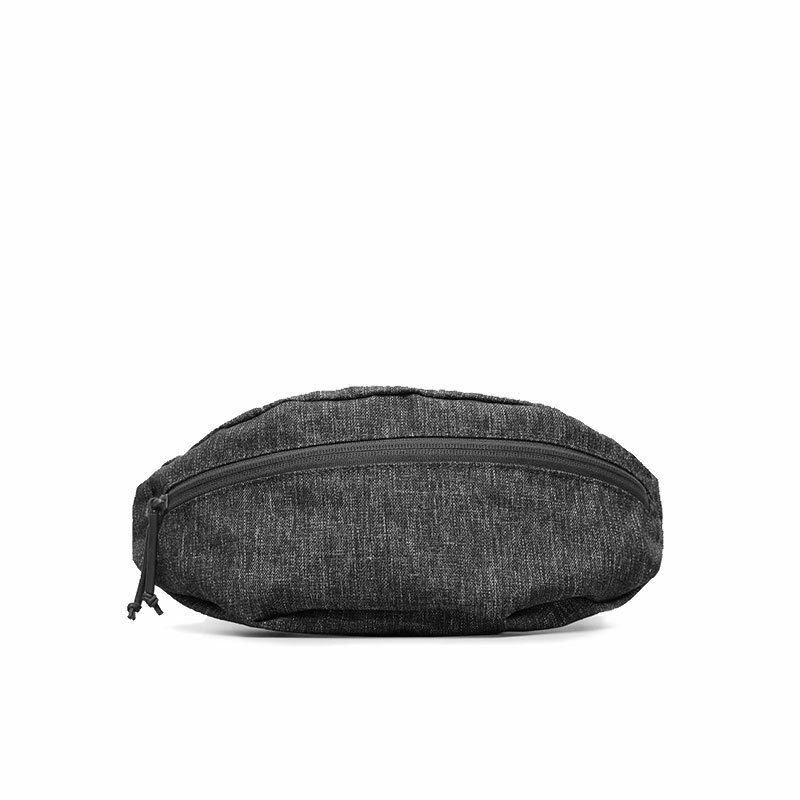 The minimalist Street Nylon Fanny Pack by Everlane is a durable and water-resistant bag made of 68% Nylon and 32% Polyester. 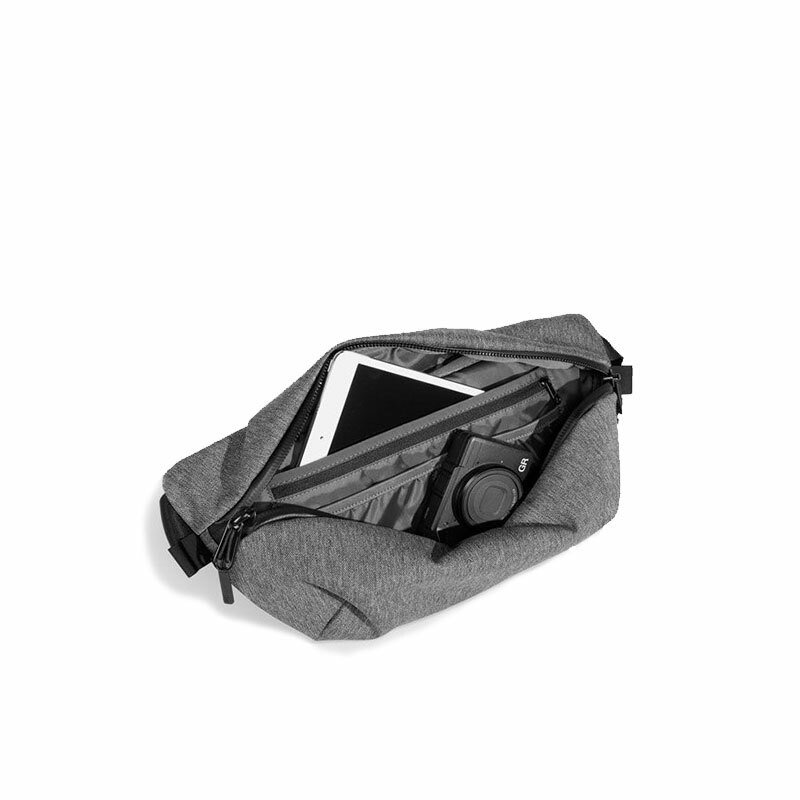 The pack comes with a main zip compartment at the front that is big enough for phone of any size, keys, wallet, camera and more. There’s a small zip one at the back perfect for important essentials. Slightly bigger than the Cap Vert PM, Goyard Belvedere Messenger PM is a more versatile option if you have more to carry on-the-go. Spotting the classic “satchel” look, this unisex messenger is one of the best-selling classics of the brand. 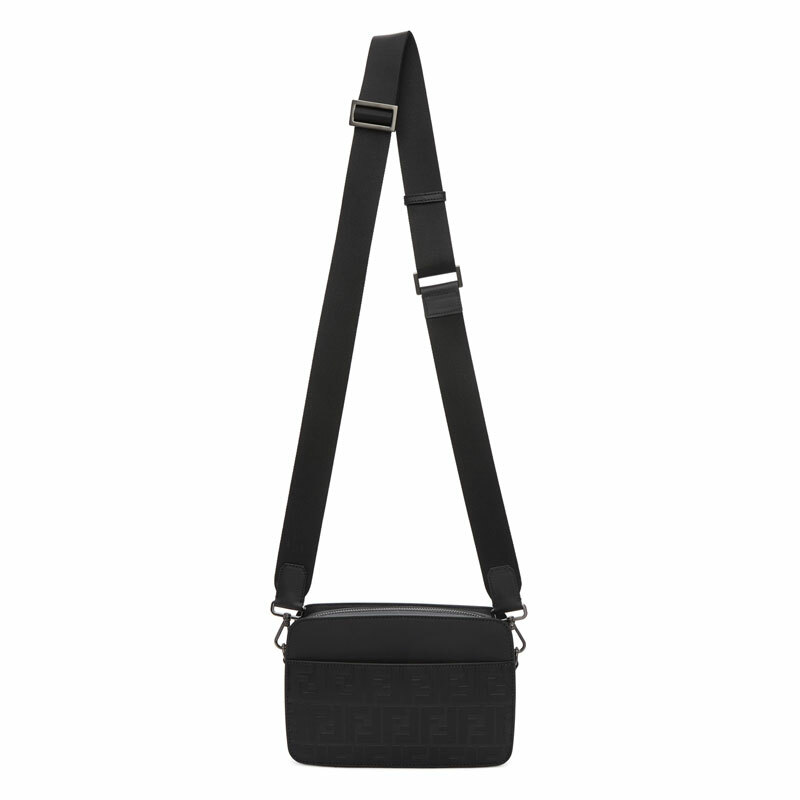 The Cruz Hip Pack is a versatile canvas crossbody that features a removable clip-fasted strap. 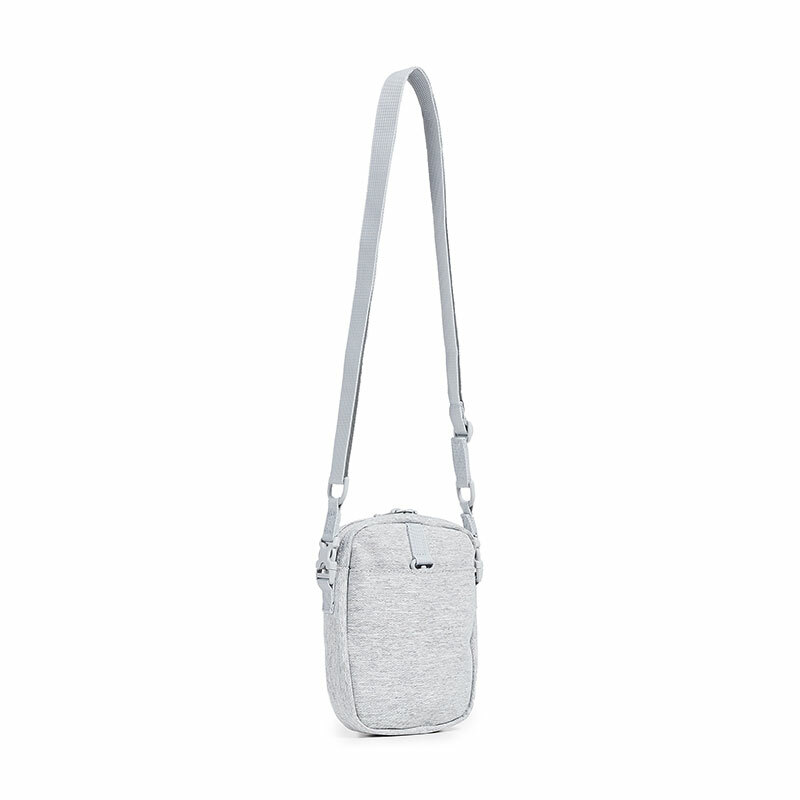 By removing the strap, you can turn the bag into a mini clutch. 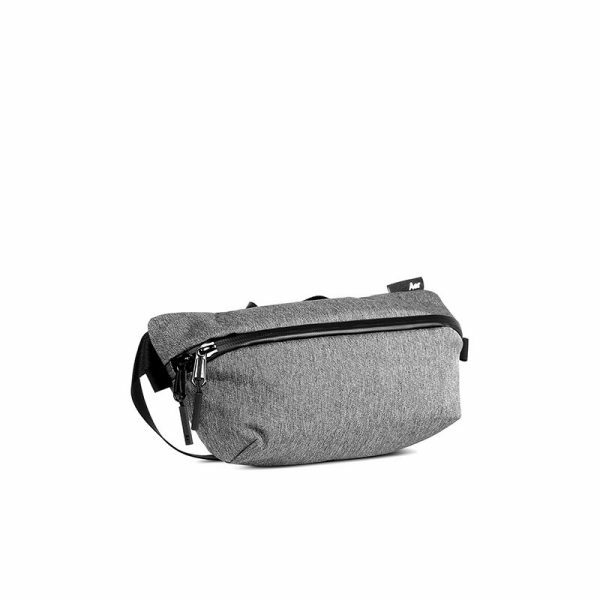 If you’re looking for a super lightweight small bag that doesn’t take up a lot of space, this is a great option. 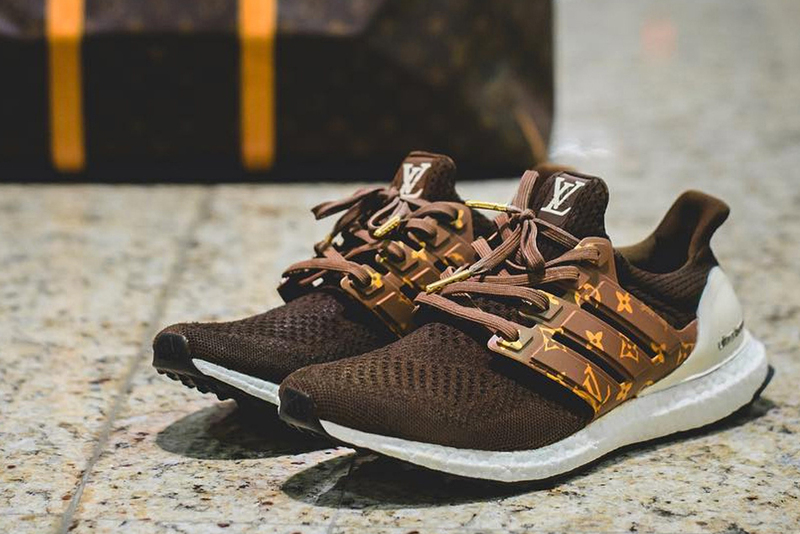 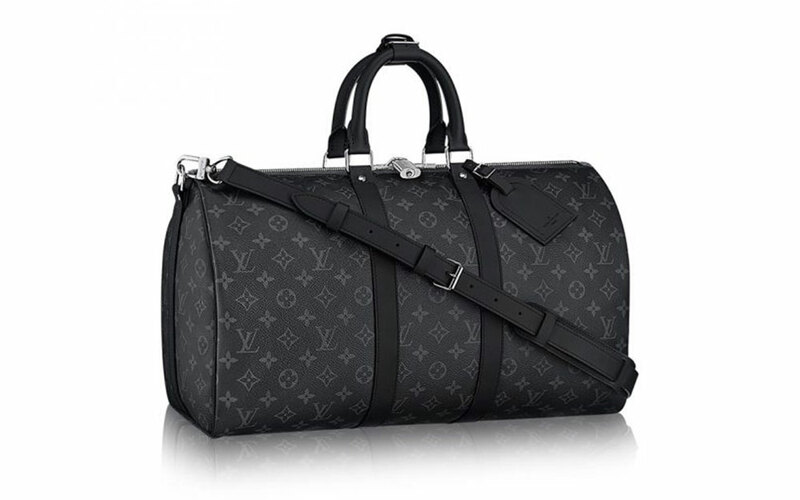 Louis Vuitton‘s Danube PM is available in various models and materials through out the years, but this Danube PM in Monogram Shadow cowhide is the most minimalist chic version thus far. 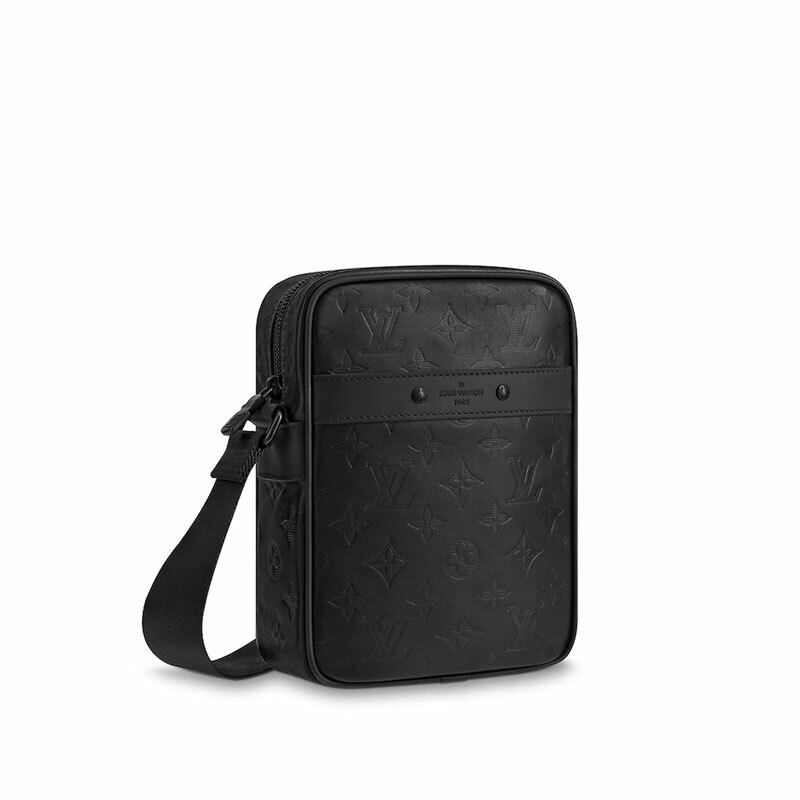 The all-black leather version is embossed with a tone-on-tone Monogram pattern and comes with matching black hardware and adjustable strap. This versatile small sling bag is a great investment and it can last for years (and generations) given the right care. 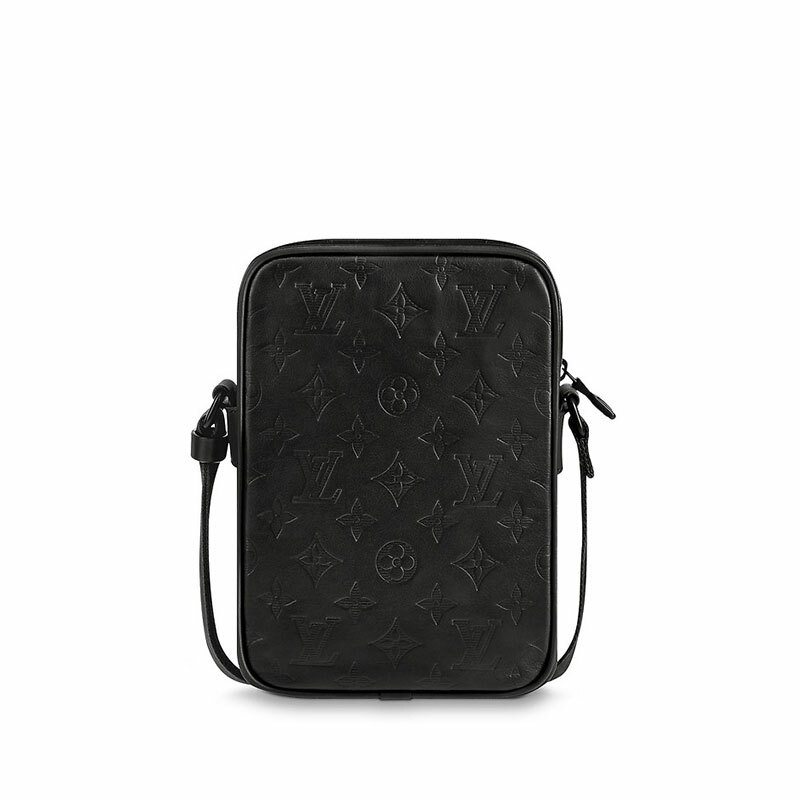 Louis Vuitton‘s Messenger PM was introduced in Spring/Summer 2018 collection and it instantly became a hit for its more modern and sportier design when compared to Louis Vuitton’s classic messenger bags. 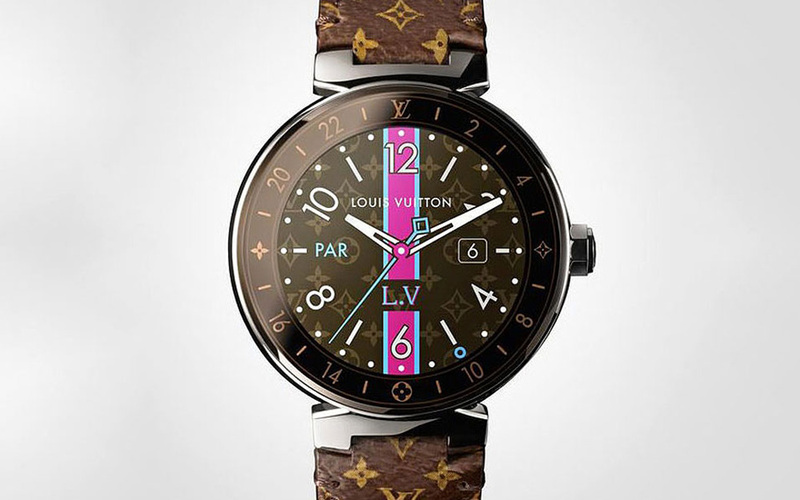 This model comes in LV’s signature Taiga leather, which is known for its softer nature and being body-friendly. 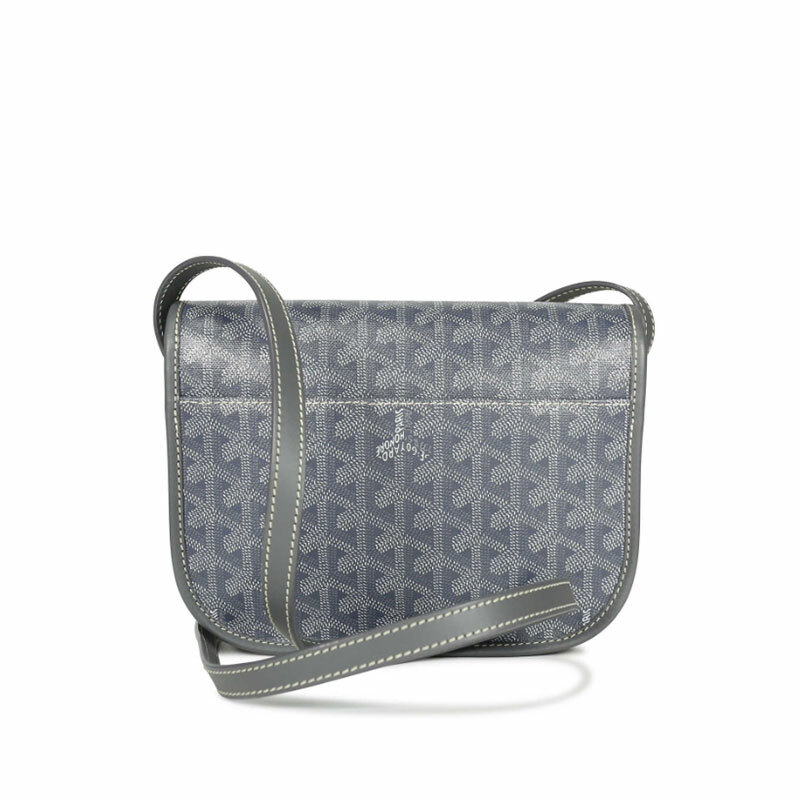 This bag can also double as a versatile everyday bag given the subtle style. 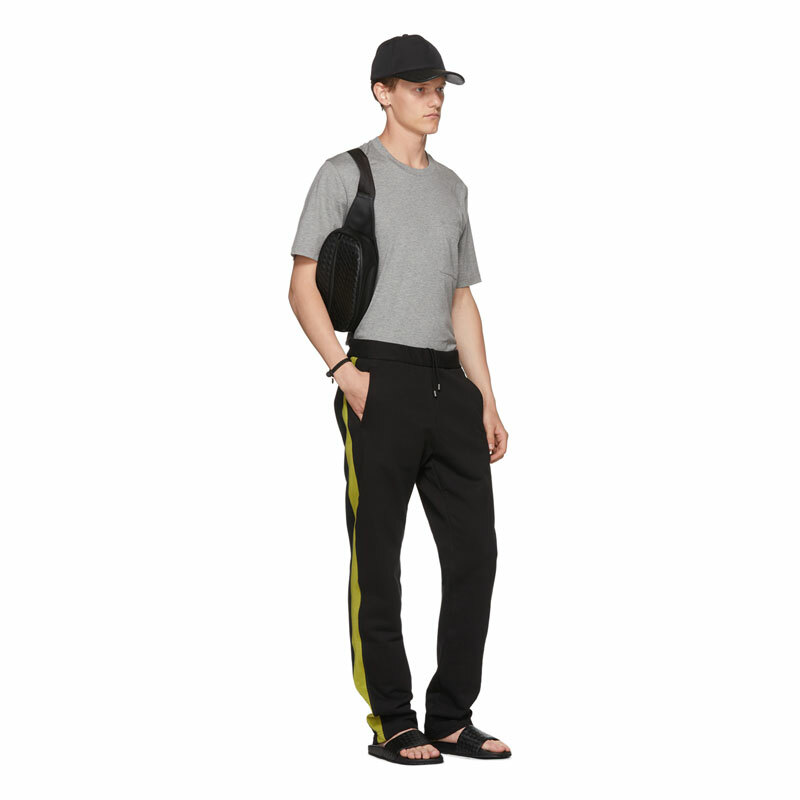 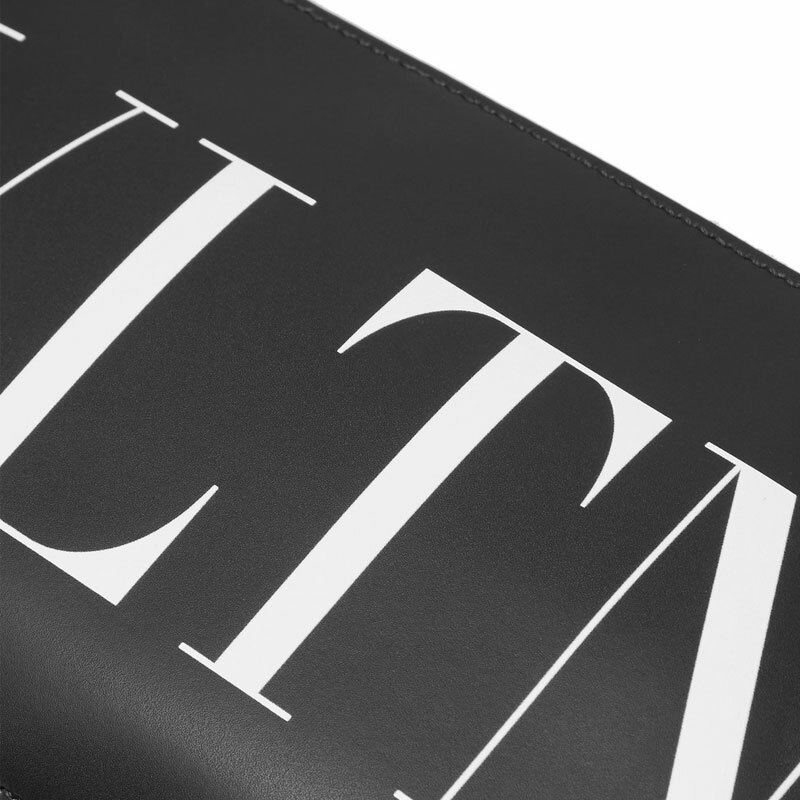 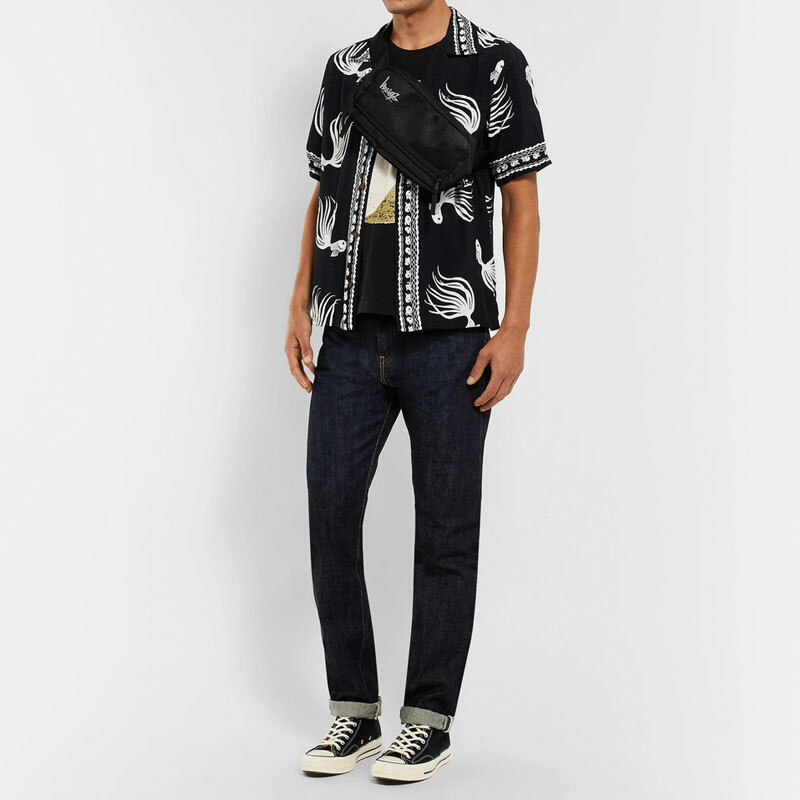 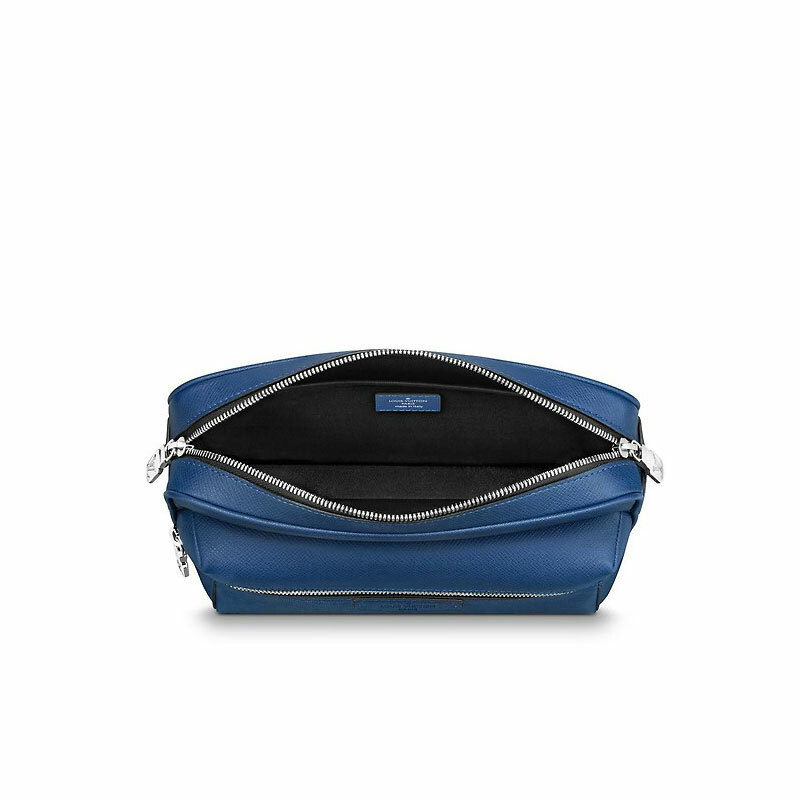 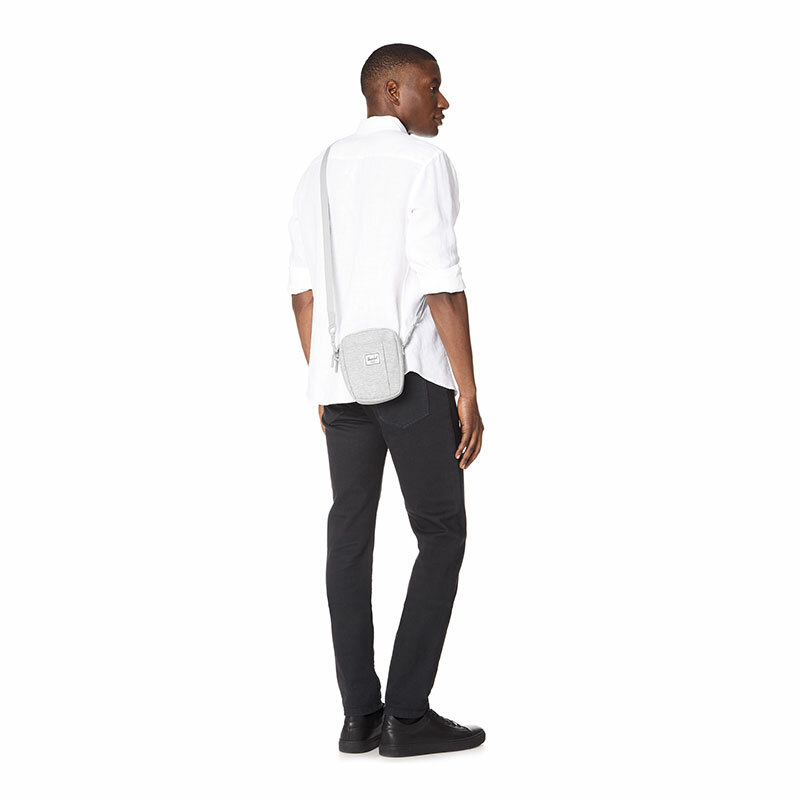 Dior Roller Pouch was introduced during Dior Homme Spring Summer 2018 collection and its unique body shape has garnered attention and love of style enthusiasts. 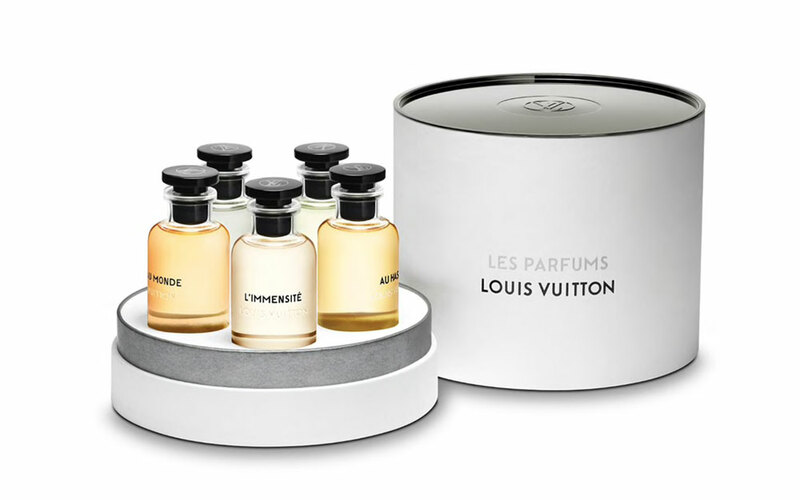 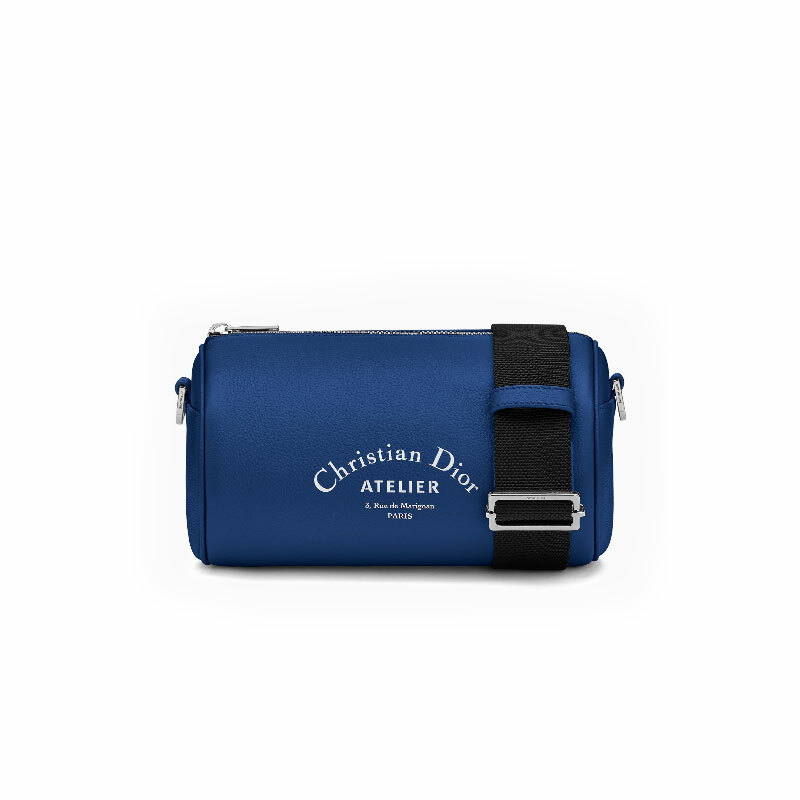 This modern classic was inspired by Dior’s atelier at 3 Rue de Marignan in Paris. 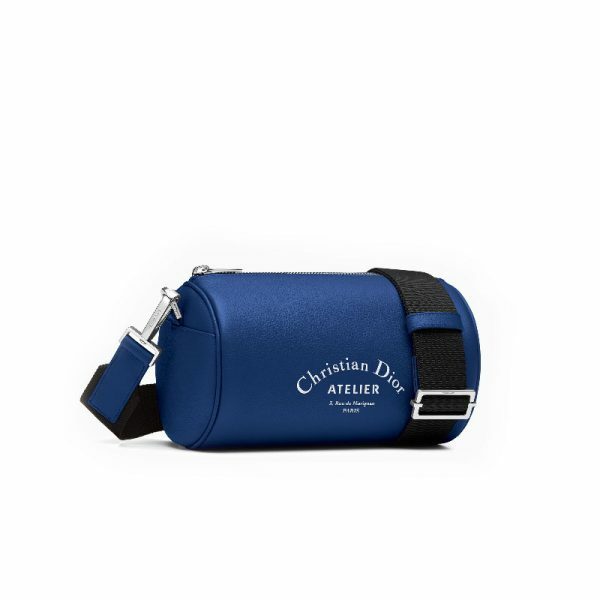 The minimalist Dior Roller Pouch comes in grained calfskin in various colors with a contrasting white “Christian Dior Atelier” logo. 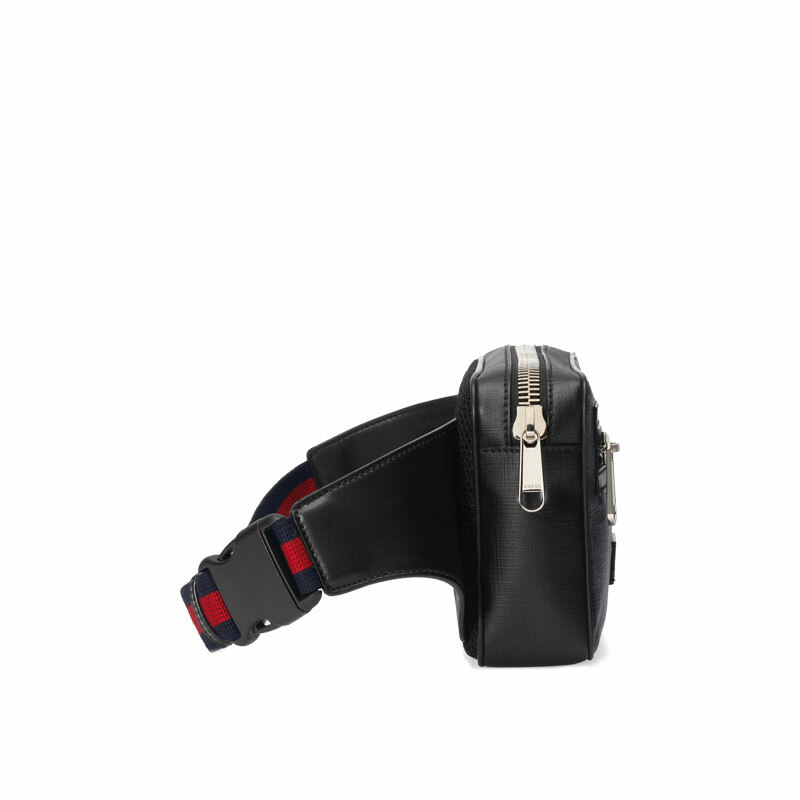 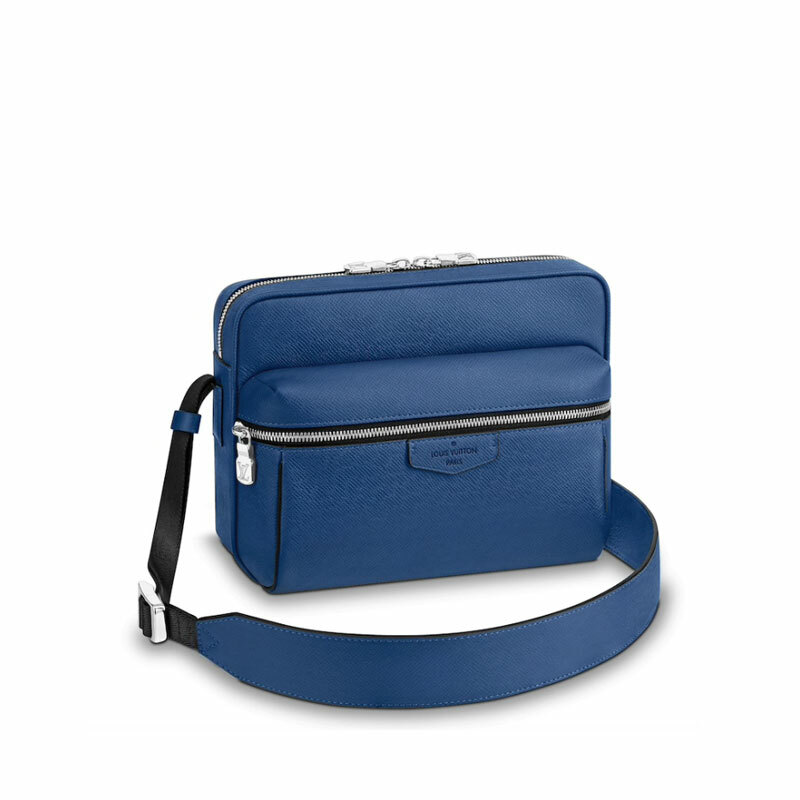 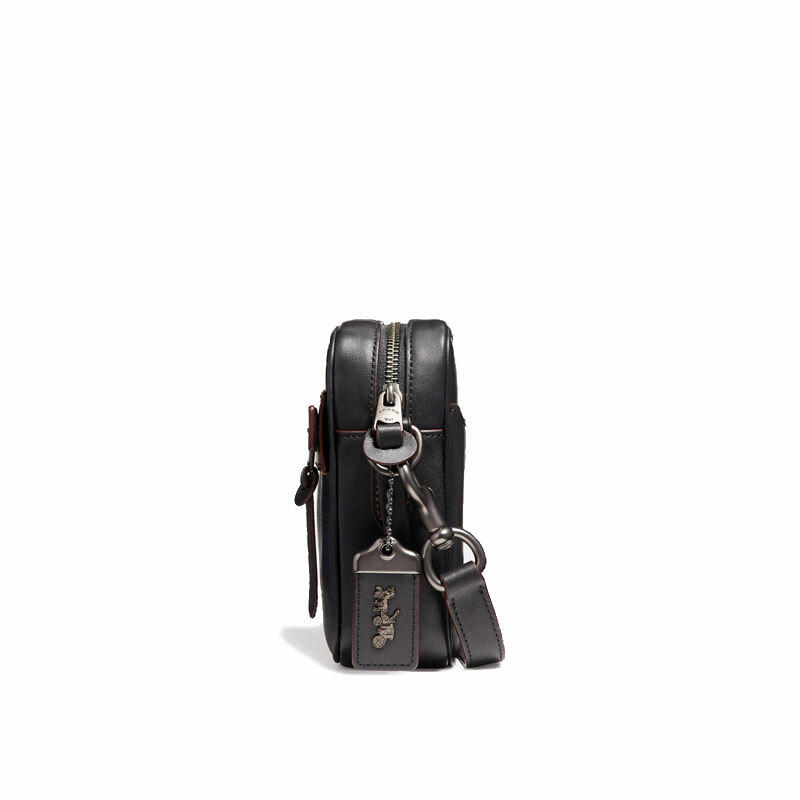 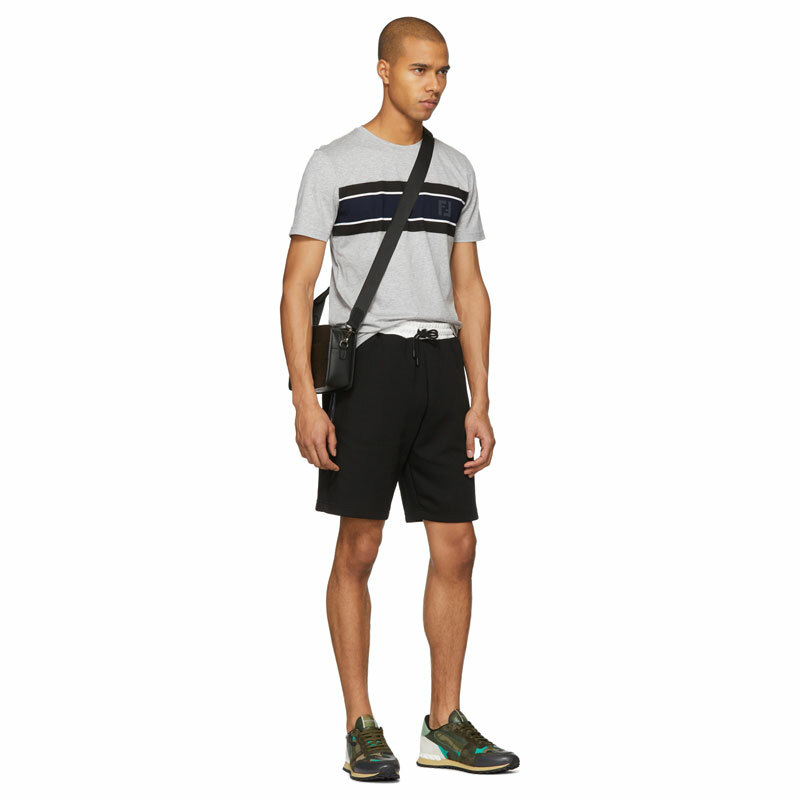 The removable and adjustable shoulder strap is made of black nylon accented with Bleu de Paris grained calfskin trim. 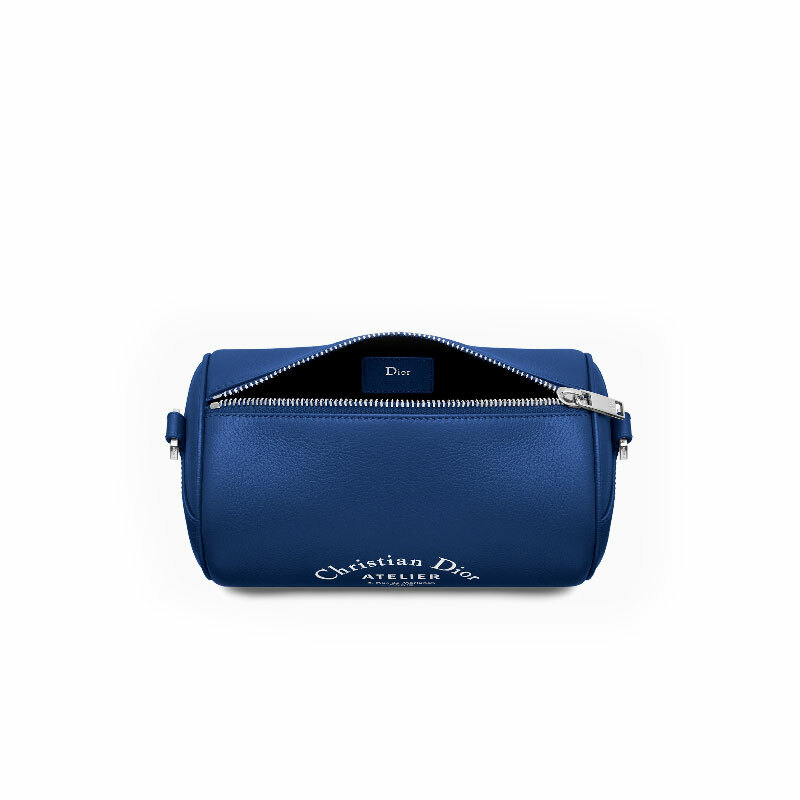 If you’re a Dior fan, this unique bag is a must-have collectible! 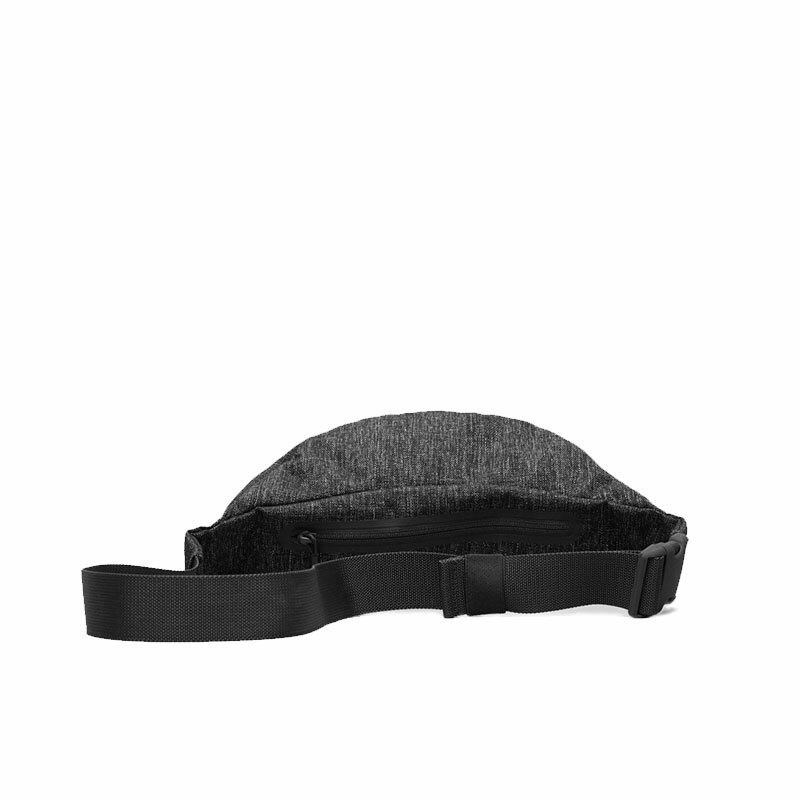 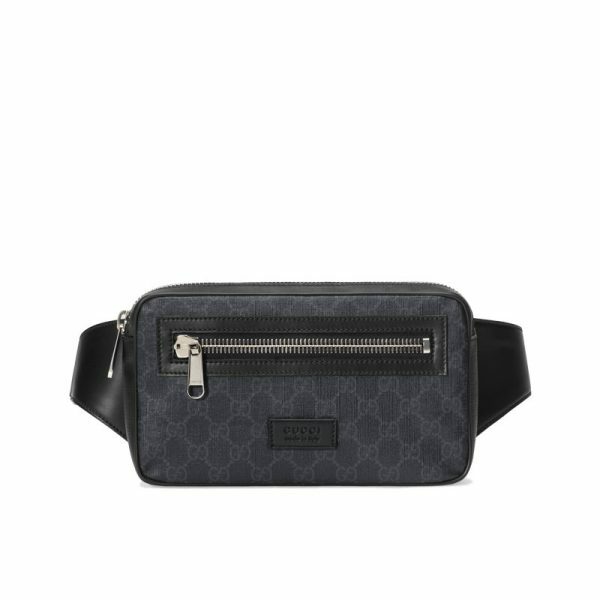 Stock Mesh-Trimmed Shell Belt Bag by STÜSSY is a more casual and “style-street” inspired, but the sporty fanny pack doesn’t look out-of-place when paired with a smarter look. 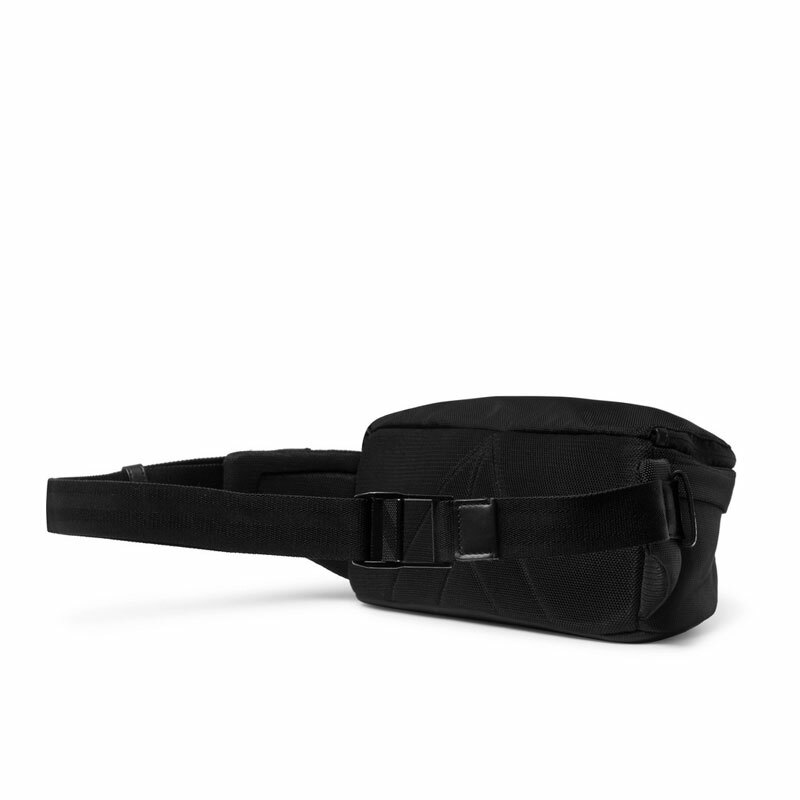 Made from lightweight black ballistic weave, the Stock Belt Bag is a basic belt bag suitable for mens of all ages and style. 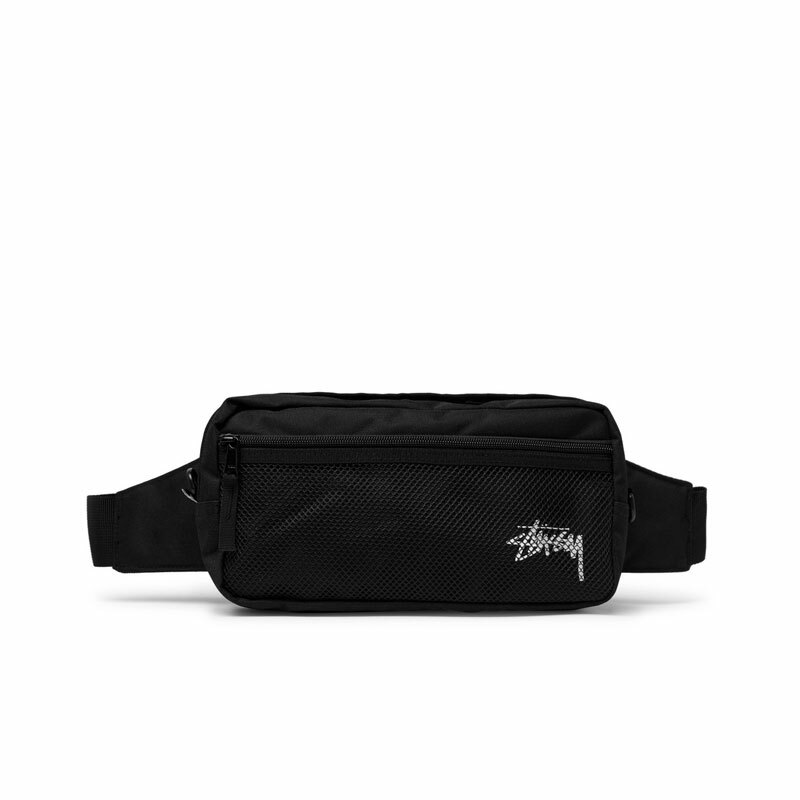 The front pocket of the pack is detailed with classic STÜSSY style – mesh treatment and a white printed STÜSSY logo. 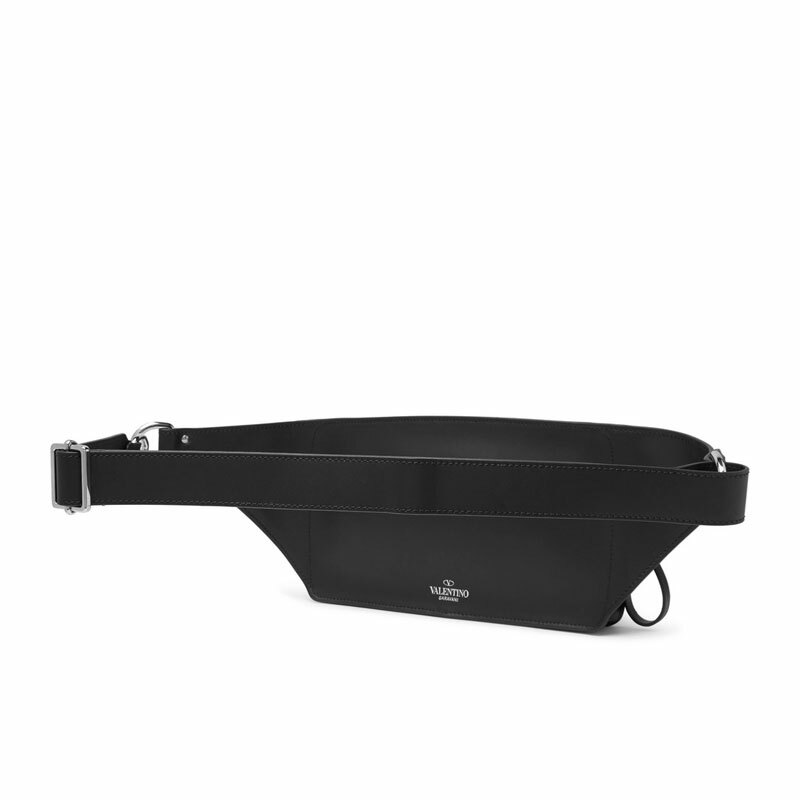 What makes this Valentino Garavani Belt bag tugs our heartstring is its ultra chic smooth black leather. 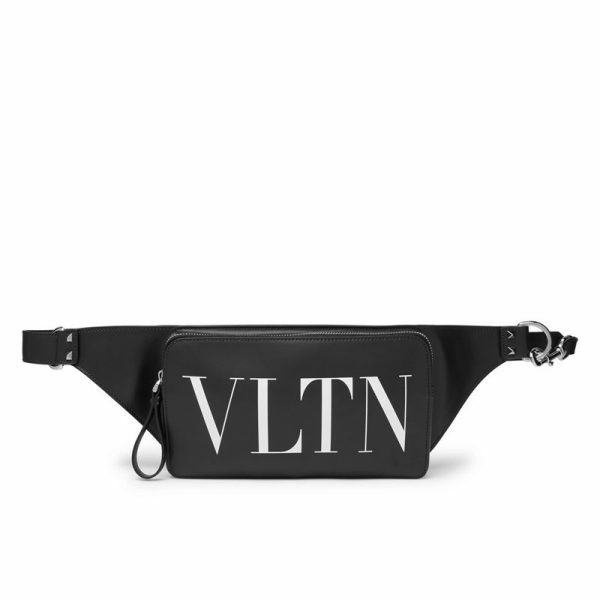 When paired with Valentino’s retro “VLTN” logo in contrasting white, the street-style inspired belt bag looks super refined and luxurious. 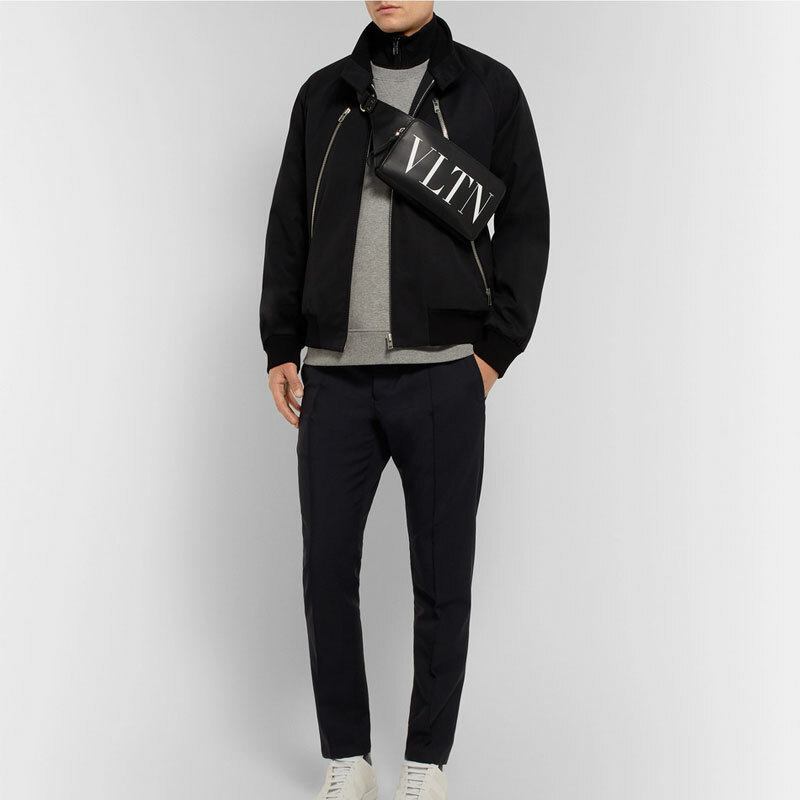 This full-leather bag was introduced in Valentino Autumn/Winter 2018 runway collection. 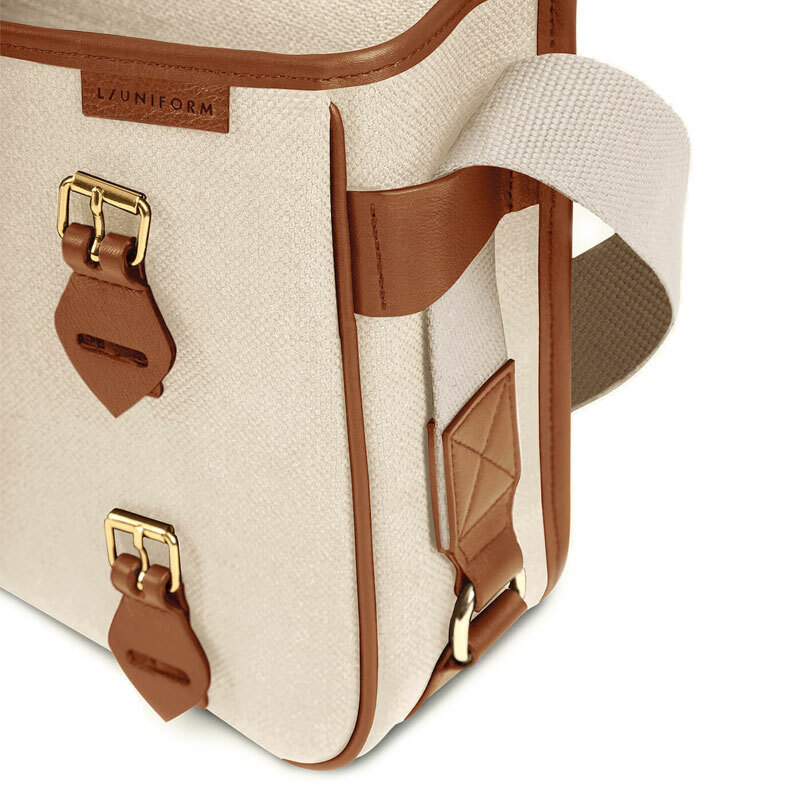 Note: We love this bag. 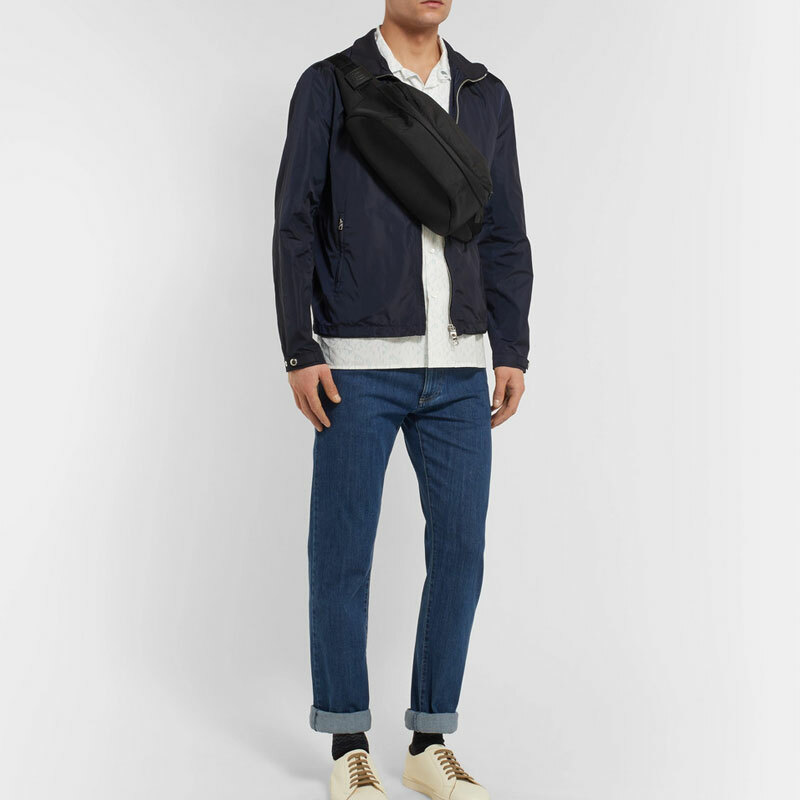 The Dunhill Convertible Belt Bag is a 2-in-1 multi-functional bag – when fully unfolded, the bag can turn into a full-size backpack. 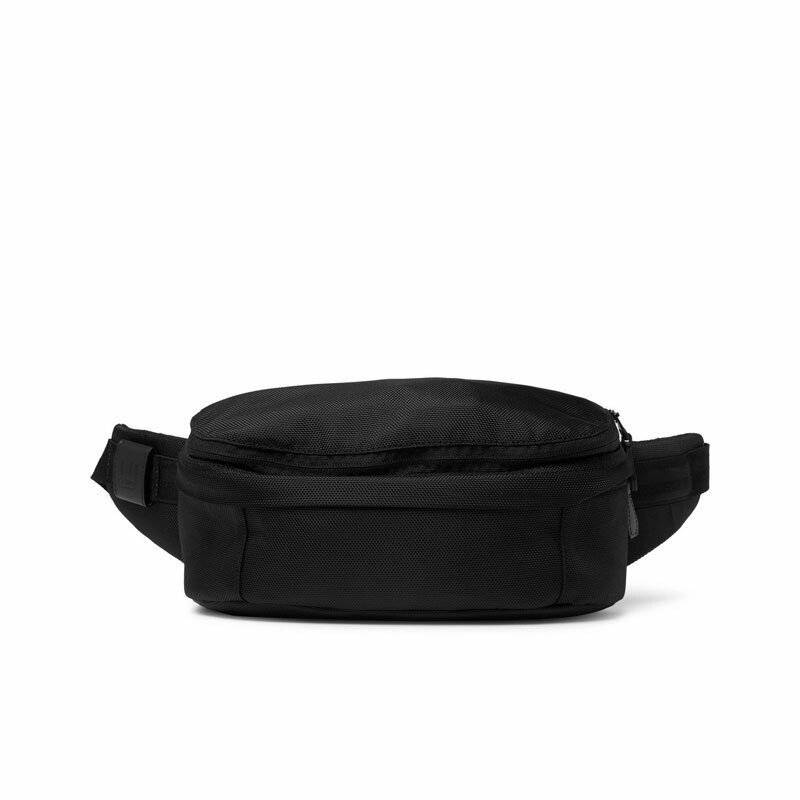 Made in technical nylon, the convertible belt bag is durable. 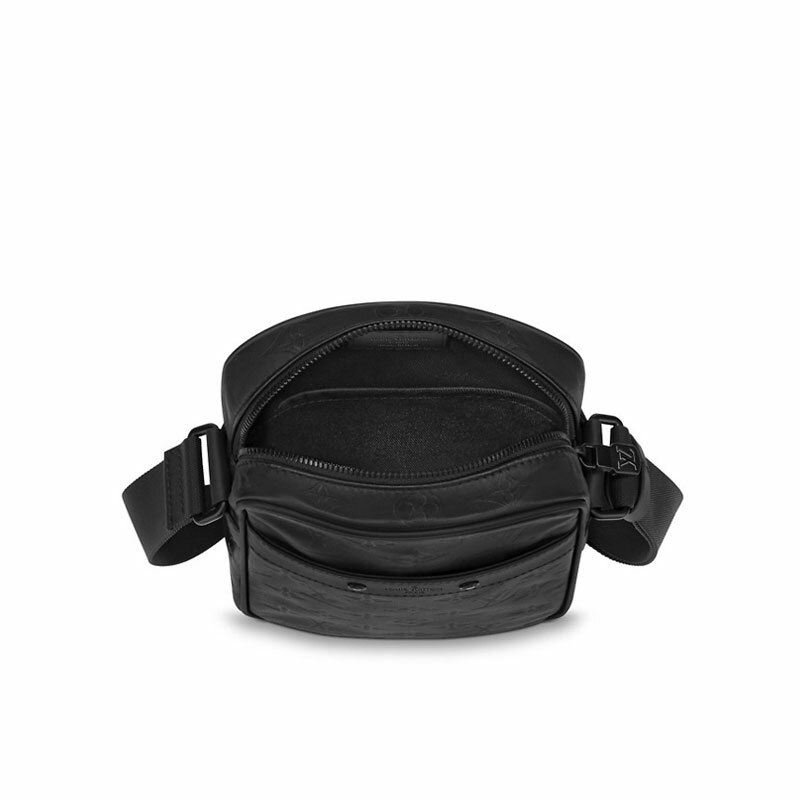 Its minimalist all-black style matches any outfit easily. 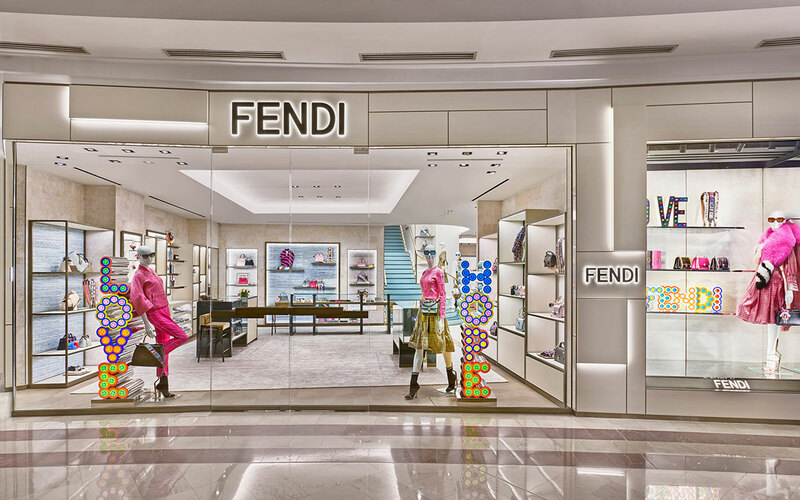 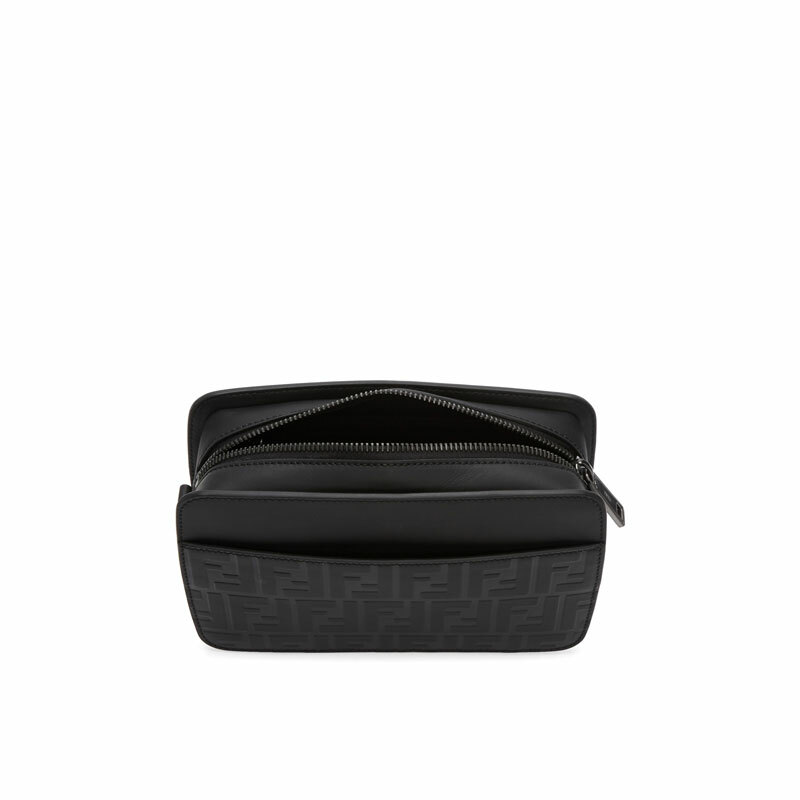 A classy number from FENDI, this perfectly-sized FENDI Camera Bag is a minimalist bag that strikes the right balance between being understated and logo mania – only the front of the bag is embossed with FENDI signature logo. 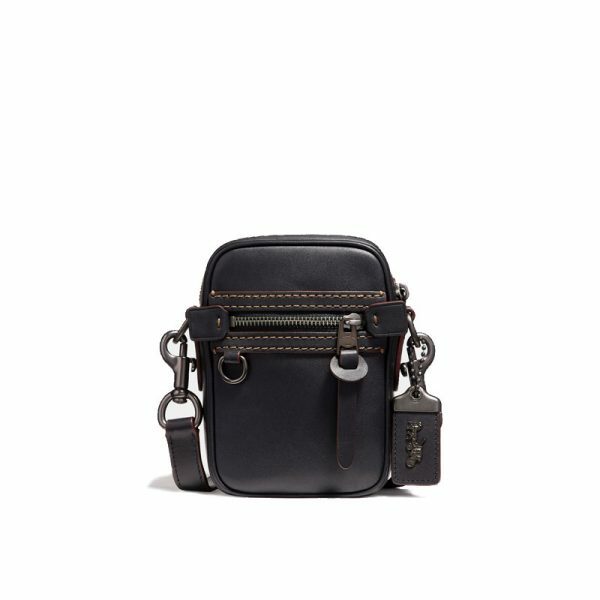 Made in Italy in calfskin, the camera bag features detachable shoulder strap with lanyard clasp fastening and gun-metal hardware. 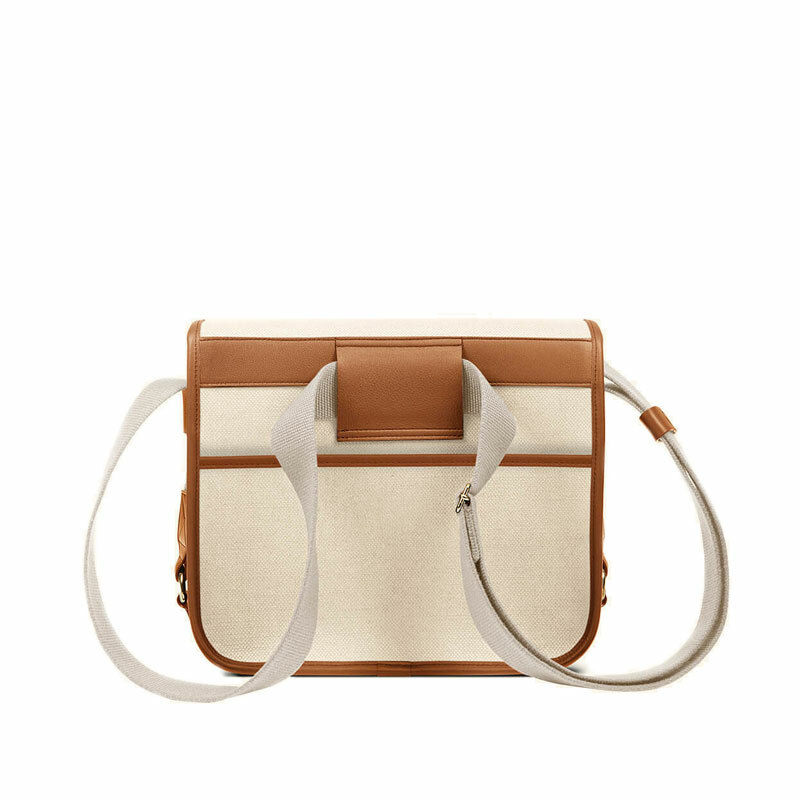 You can detach the strap to turn the bag into a clutch. 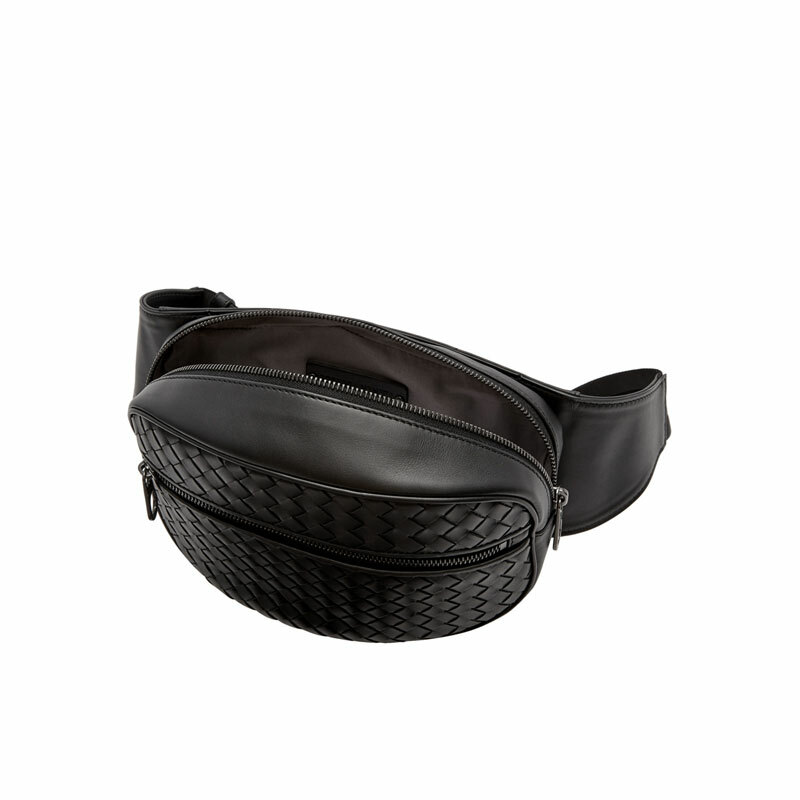 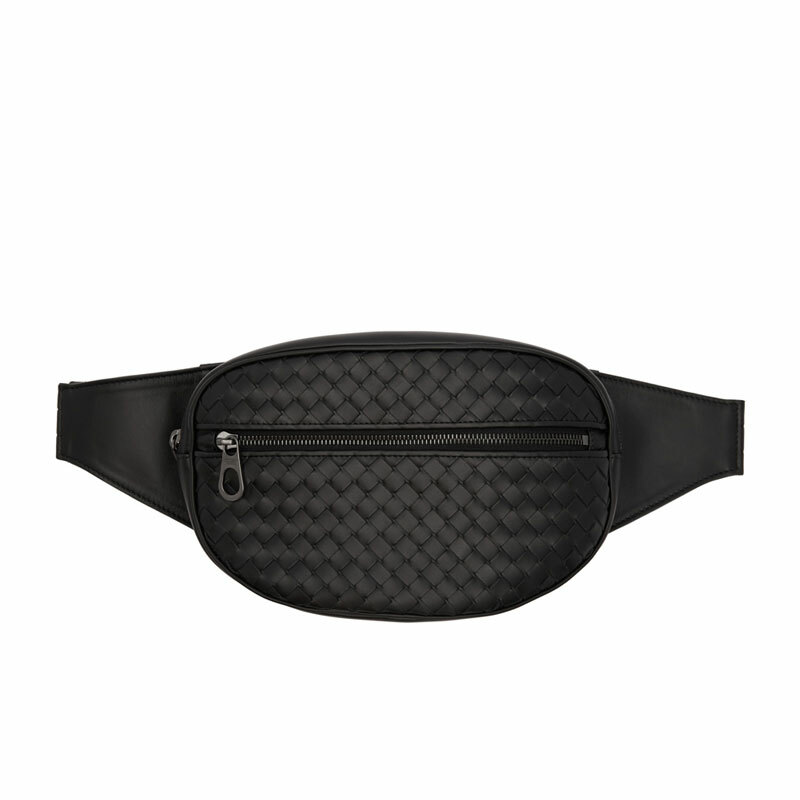 Same as the Valentino’s Belt Bag, this Bottega Veneta Black Intrecciato Belt Pouch is another example of when luxury street-style done right.. By constructing the front of the bag with the house’s signature Intrecciato-woven nappa leather, Bottega Veneta transformed the utilitarian bag into a classy collectible. 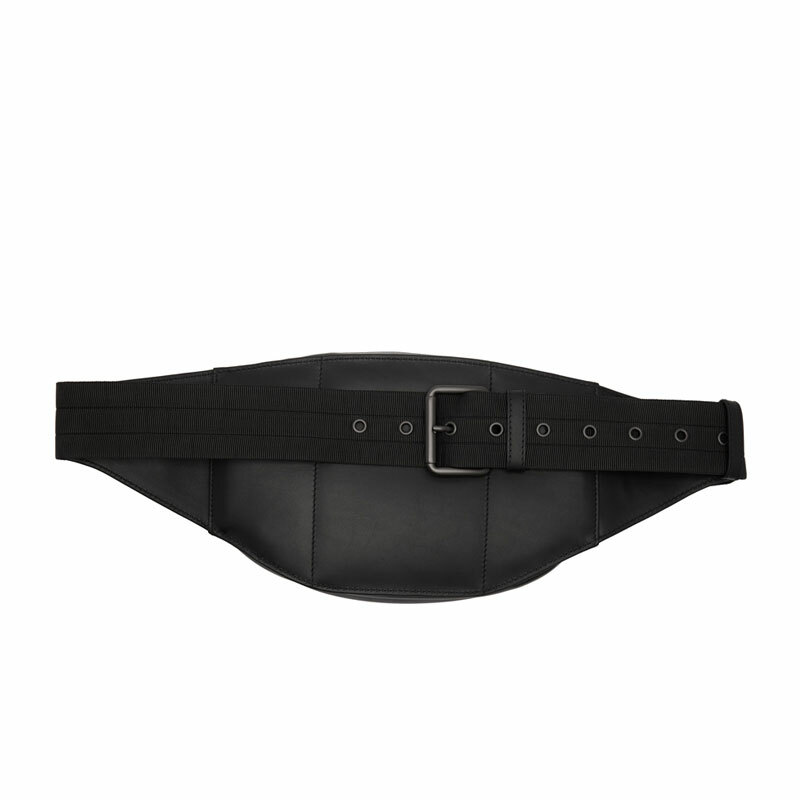 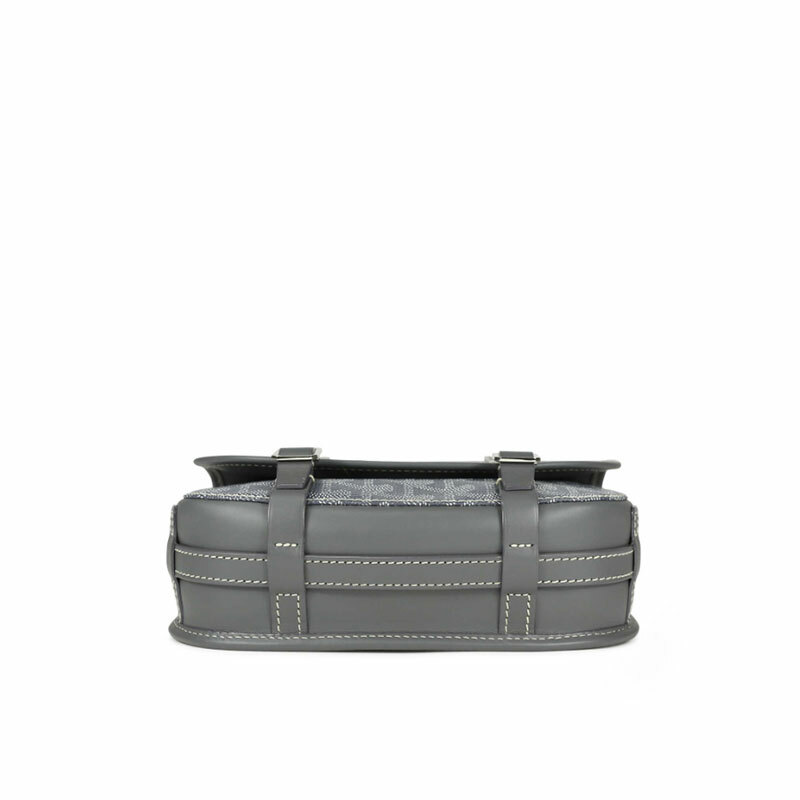 As there is no crazy logo or prints, this understated belt pouch can last for generations without going out of style. The rugged looking Dylan 1o by Coach is worth checking out if you’re into mini travel bag. 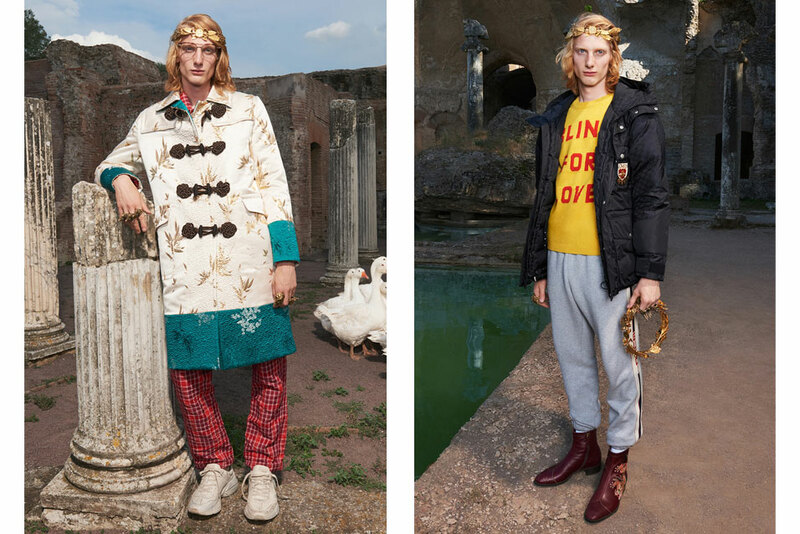 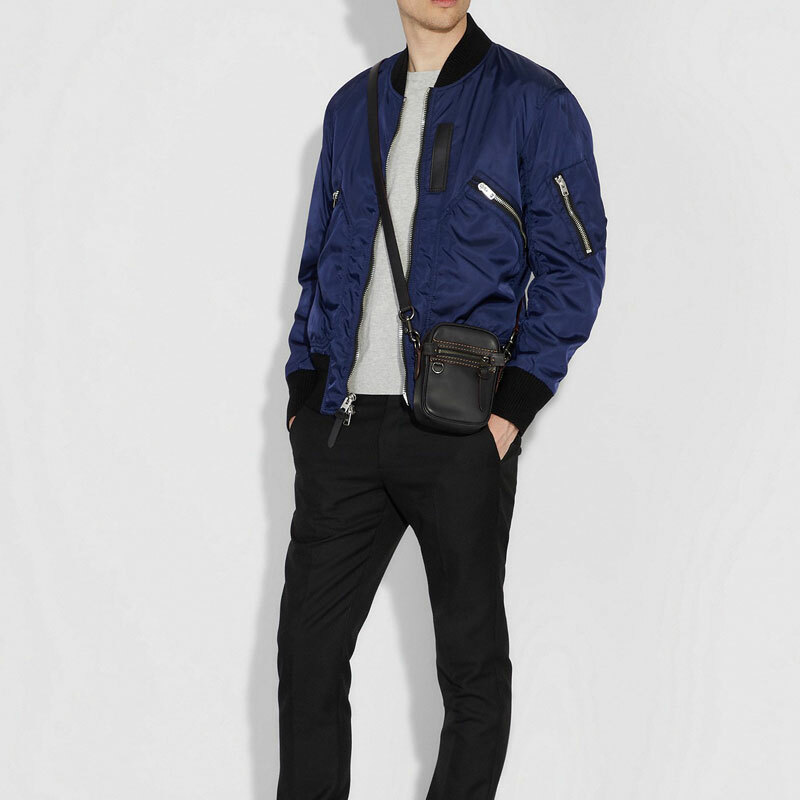 Inspired by 1970s flight bag, Dylan 10 exudes retro aviation chic. 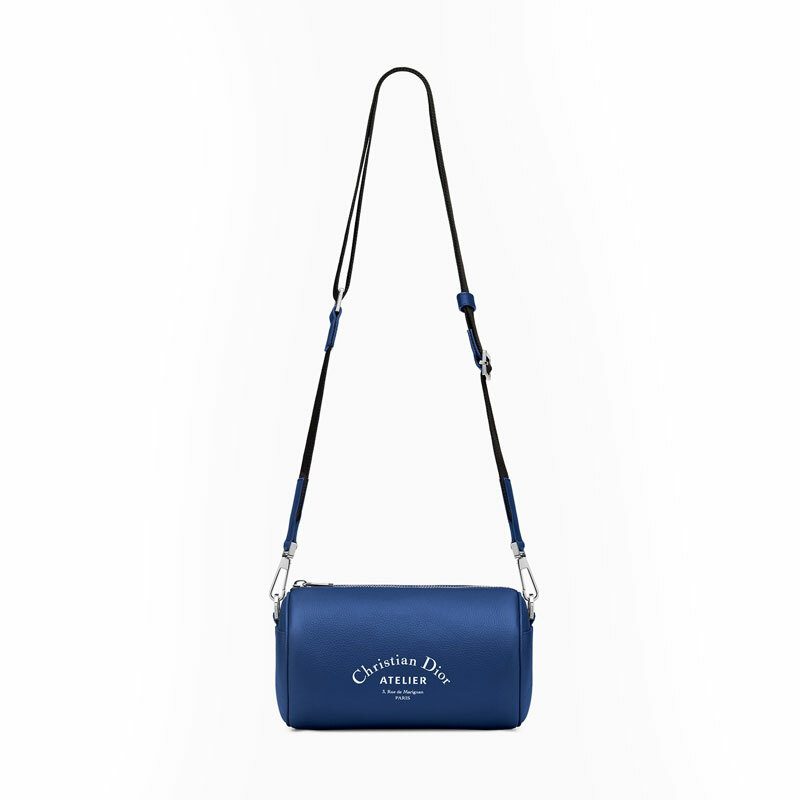 This compact bag is crafted in smooth glovetanned leather – a signature of Coach’s bag – and its hands-free design features exterior zip and slip pockets for easy access to your essentials. 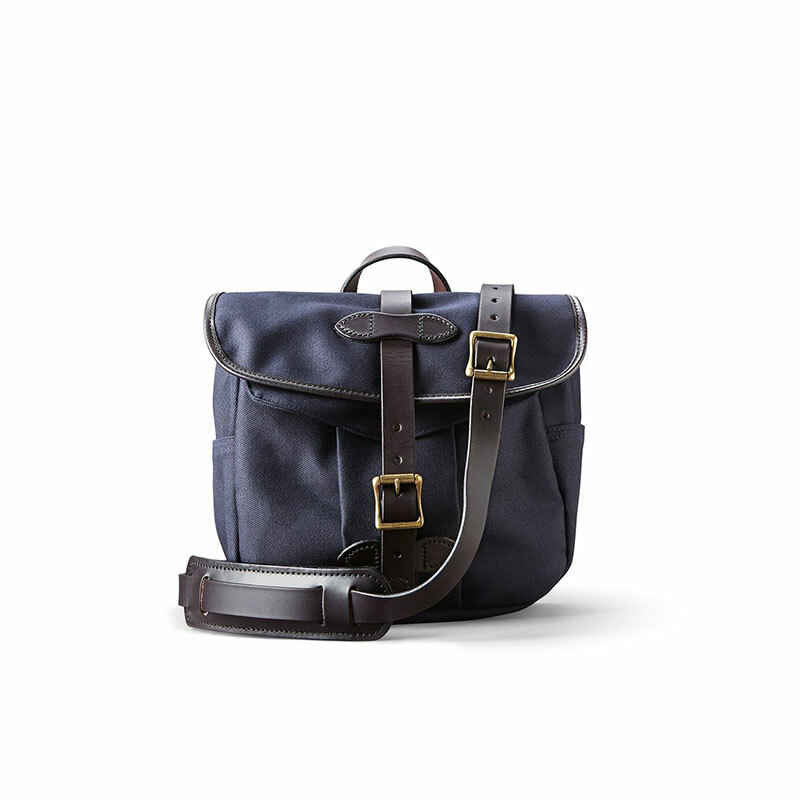 When going outdoory, Filson is a brand not to be missed. 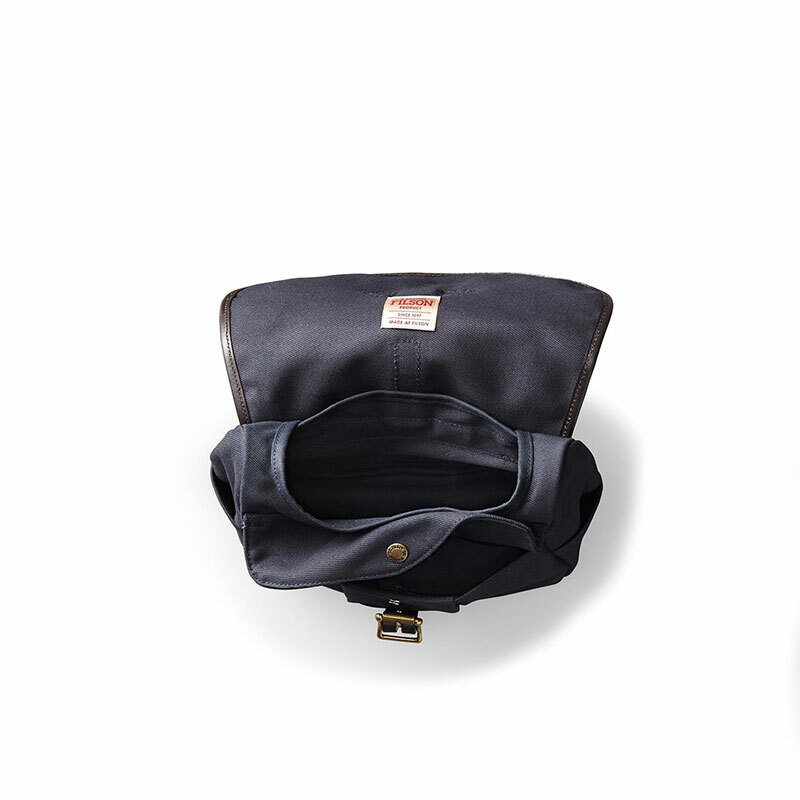 Filson gives you a lifetime warranty for each item they sell – how many brands can do that nowadays? 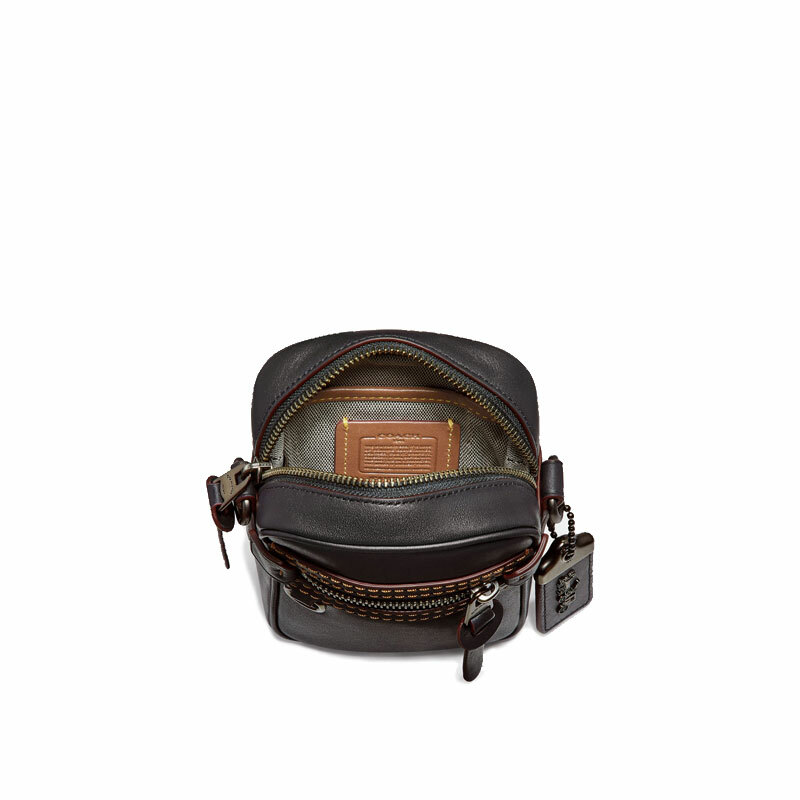 The Small Rugged Twill Field Bag by Filson is a great choice if you’re not one who’s careful with his bags. 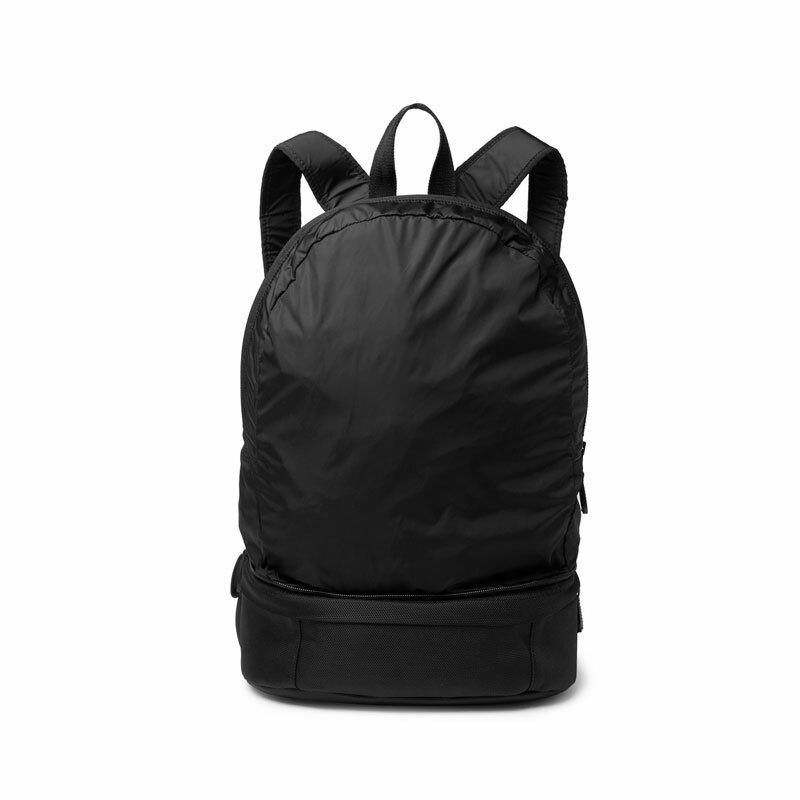 This indestructible field bag is perfect for both field trip and relaxing family vacation trip. 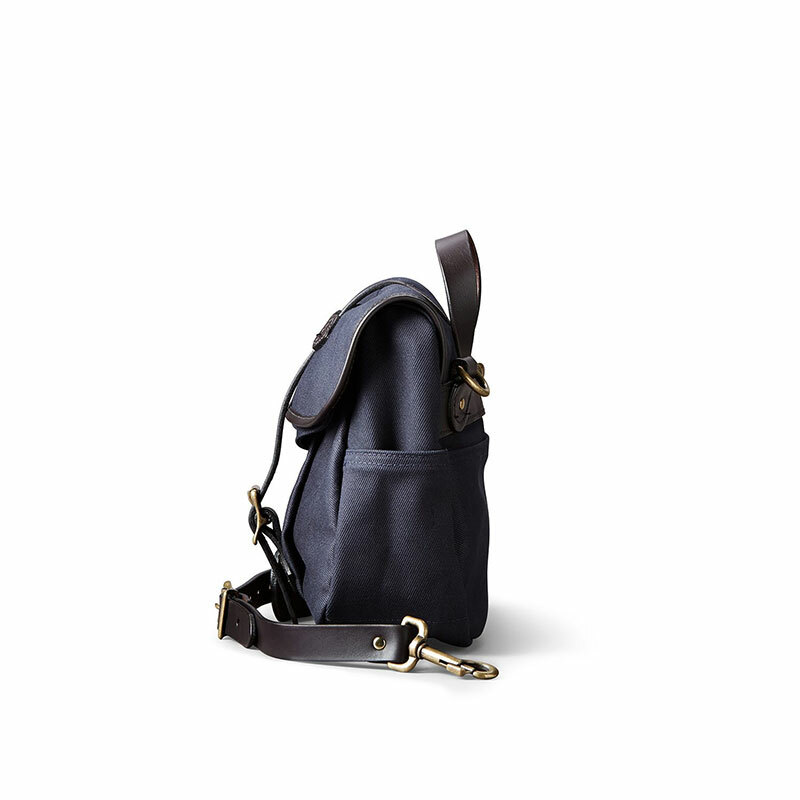 The rain-resistant twill canvas bag is accented with saddle-grade Bridle Leather and comes with storm flap with buckle closure – a more secure solution to carry your valuables, especially in places where pickpocketing is an art. 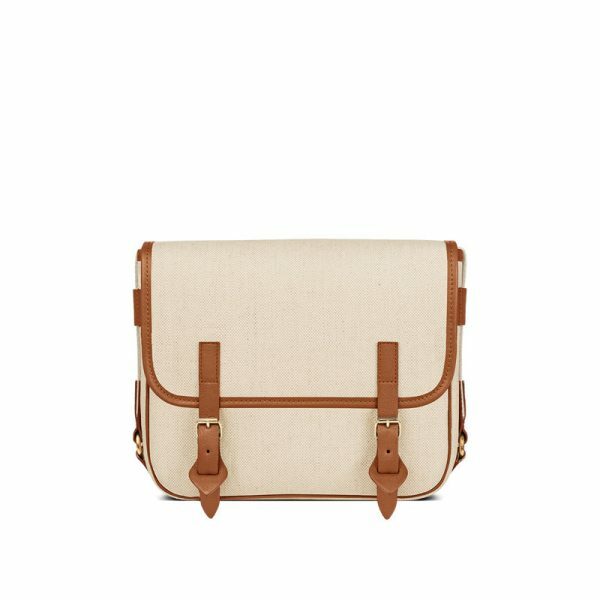 In terms of size, this bag is almost the size of a small messenger. 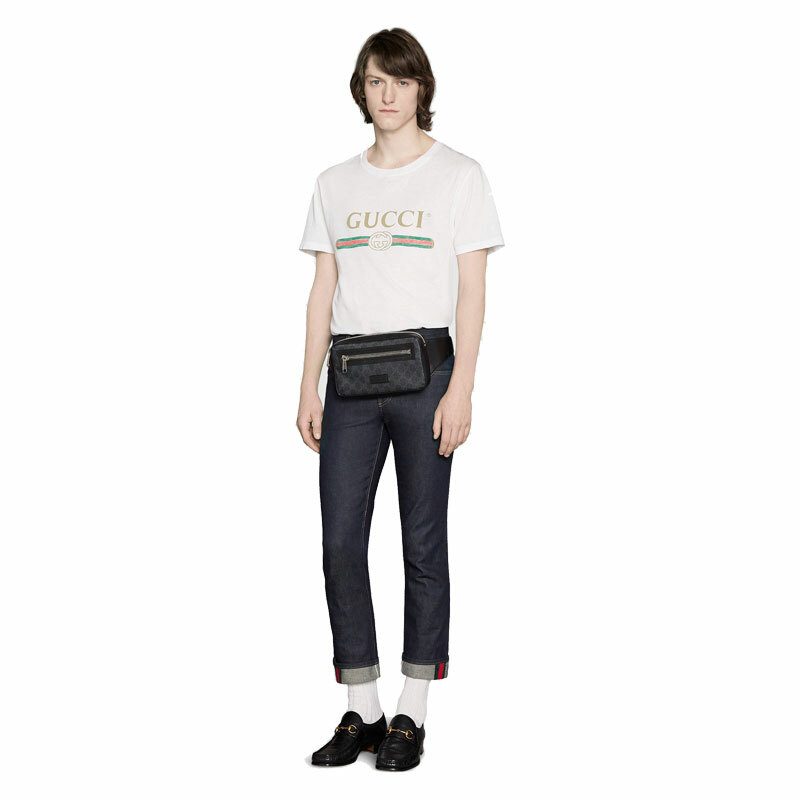 Although the recent GUCCI by Alessandro Michele is known for being loud and “sparkly”, this rather pared-down Soft GG Supreme Belt Bag has become a modern essential since its inception. 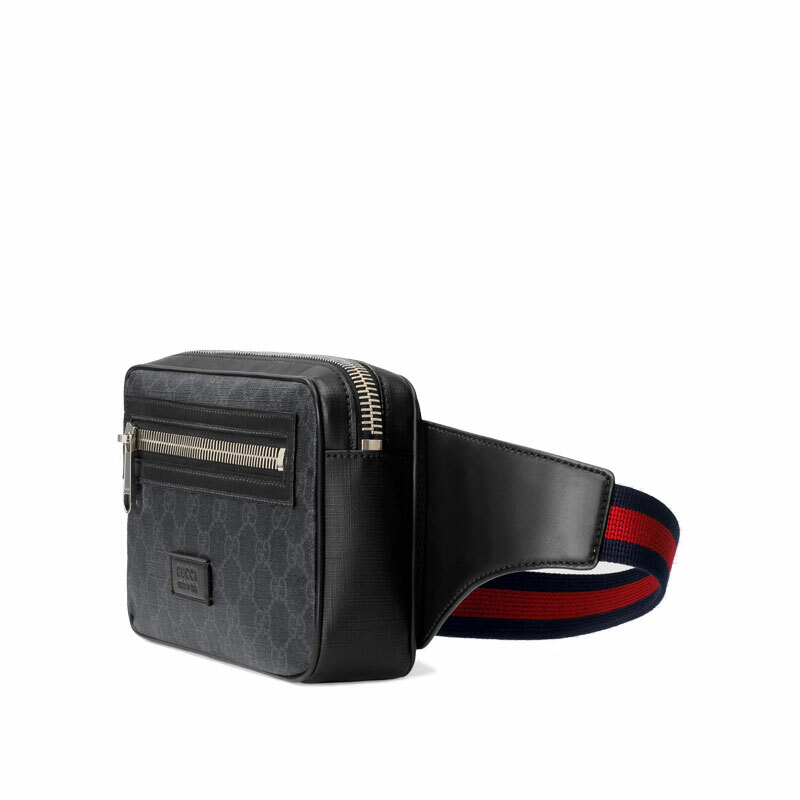 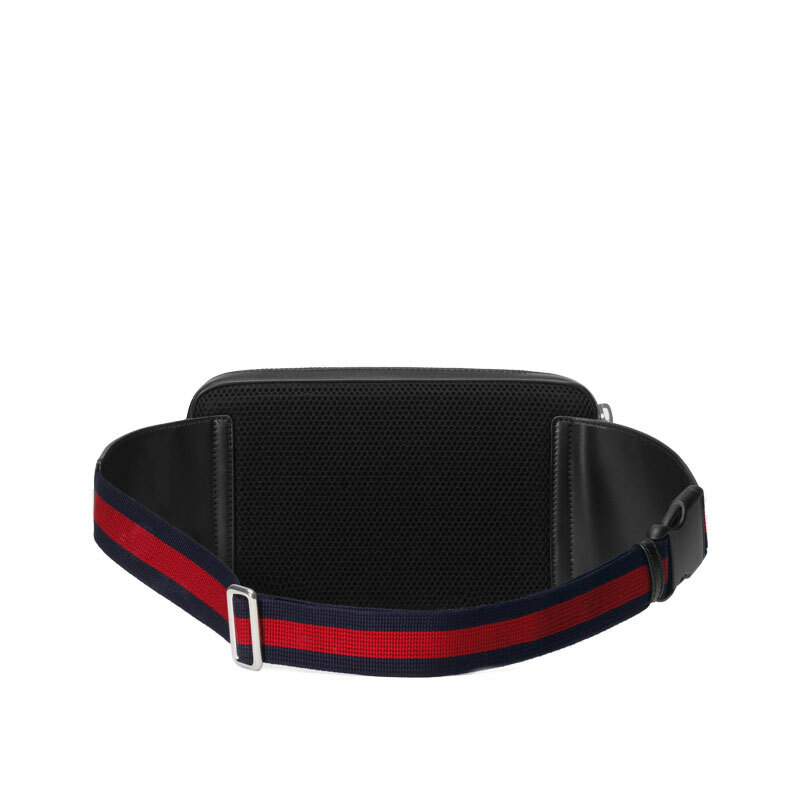 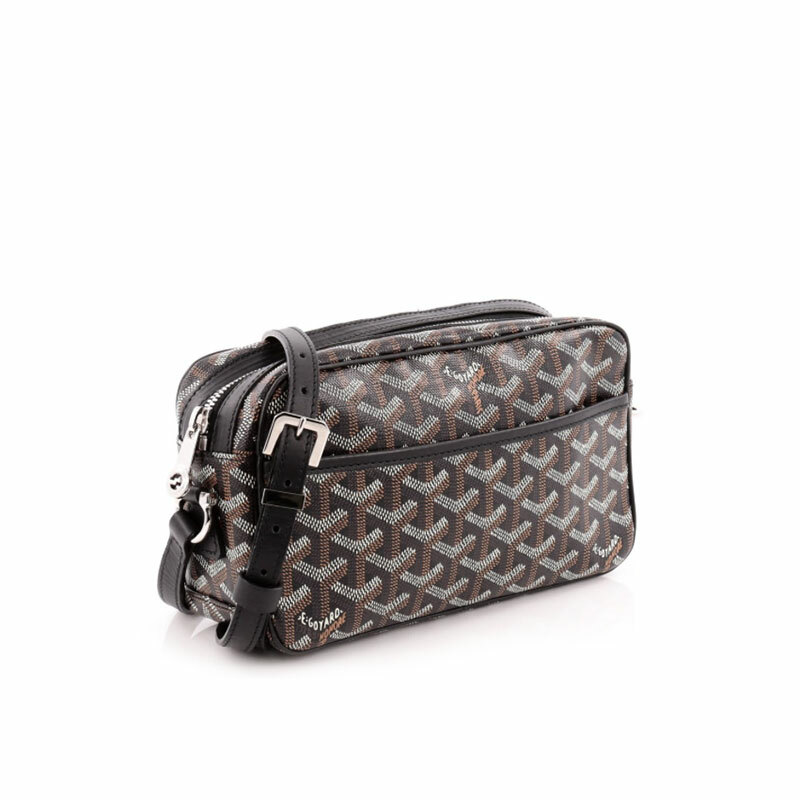 Made of GUCCI’s signature GG Supreme coated canvas, this belt bag is soft and flexible while at the same time, very durable and easy to clean – this bag will definitely age well and looks brand new for many years to come. 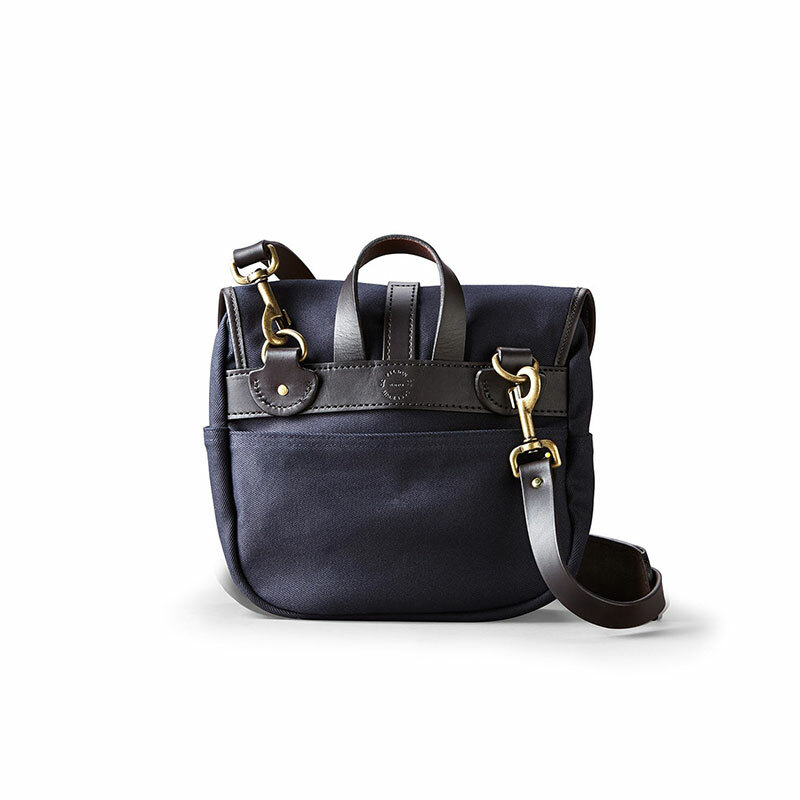 The GG prints in understated black and palladium-tone hardware are the keys that make this bag a timeless pieces. 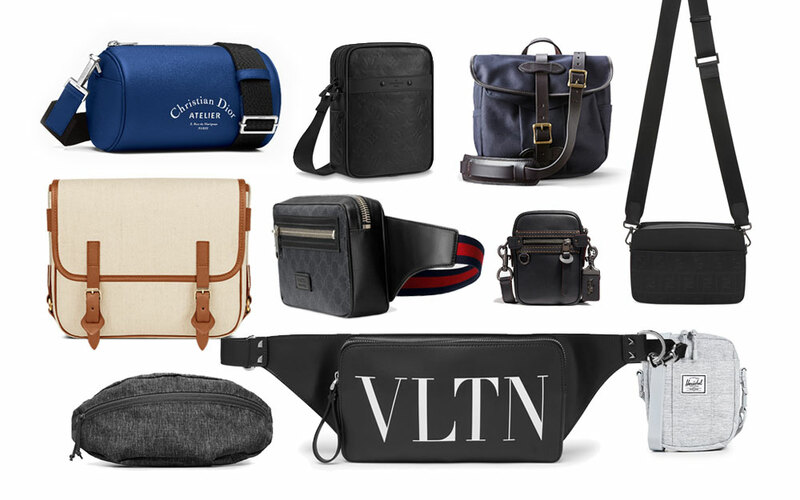 See all our recommendations for bags.